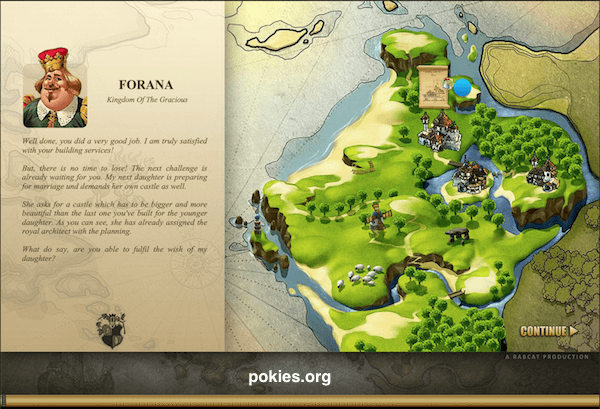 If You don’t spend 10 hours a day browsing the Internet it’s very likely that playing pokies online is not something that You’ve done before. 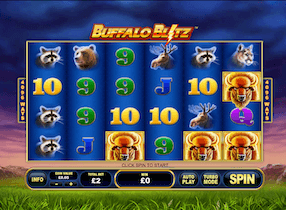 There is no need to panic though because it’s very simple and the learning curve will take You a couple of minutes. 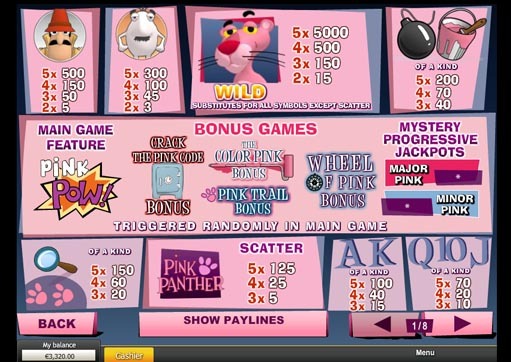 Truth be told, playing online is actually simpler and way more convenient than doing so at a land based brick and mortar casino. 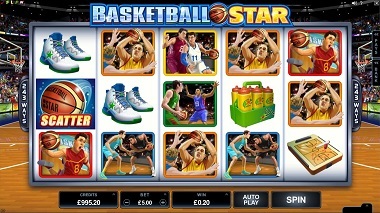 In this article we will aim to guide You through steps of online play including similarities and differences. 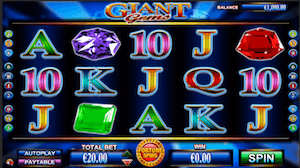 We will also touch the mobile playing aspect of these games, which has been getting more and more mainstream in the last few years. 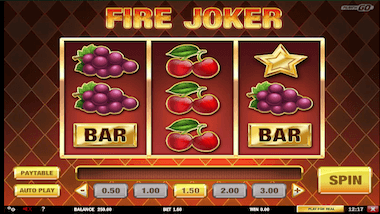 Nothing is 100% safe, including playing pokie games at a land based casino, but the point is that playing pokies at a brick & mortar casino is as safe as doing the same in an online environment. 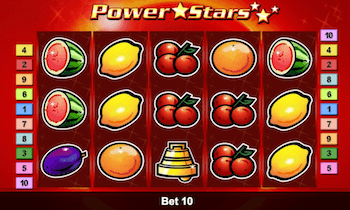 Both of these carry some risks, but they are minuscule and not really worth talking about. 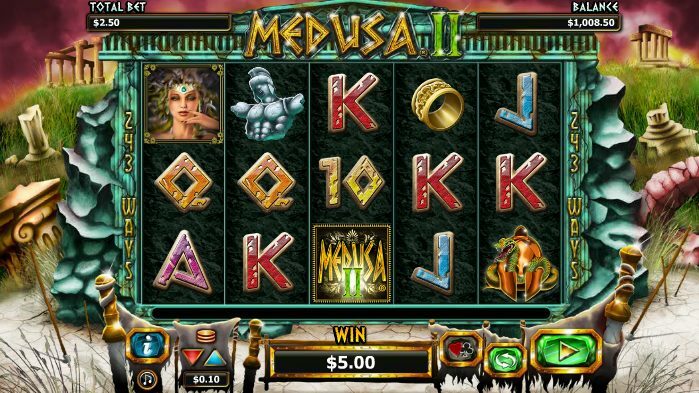 If You want to know if Your money is safe with online casinos then read our article on having a safe pokies playing experience. 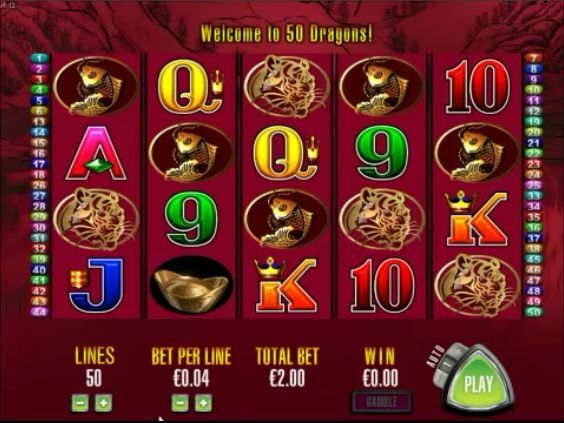 We cover everything from choosing a website to making sure that You are aware of any red flags that could help with determining whether a casino is legit or not. 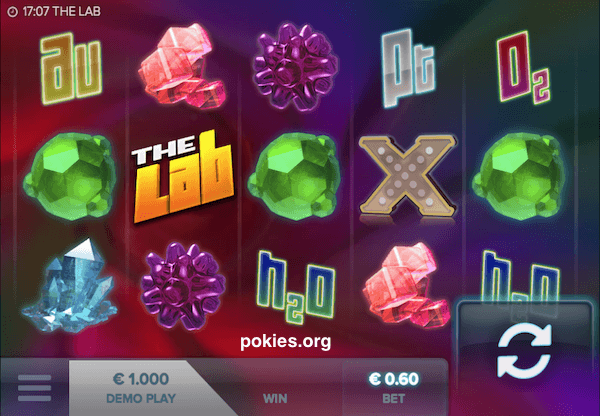 Playing pokies on Your mobile device is certainly not considered to be an innovation of any kind anymore and it’s pretty much common sense. 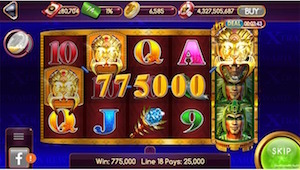 While most casinos will provide You with an opportunity to do this, device wise You are kind of limited to iPhone, iPad and Android devices. 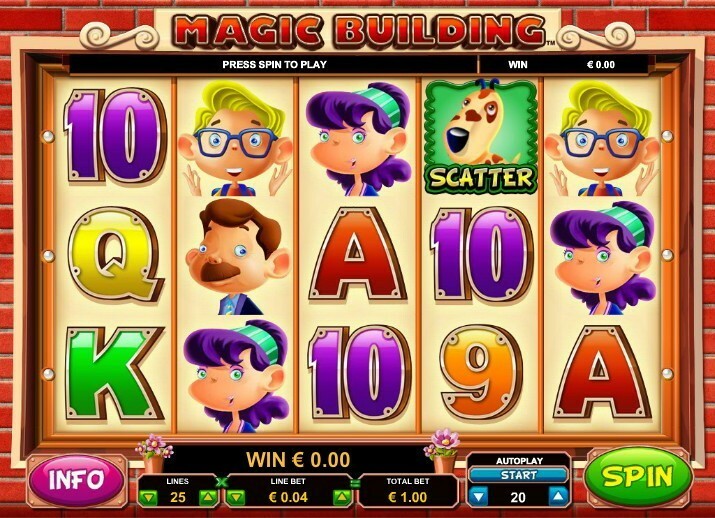 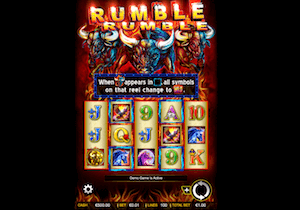 Some of the latest Windows Phone models will also be compatible with certain mobile casinos, such as Guts. 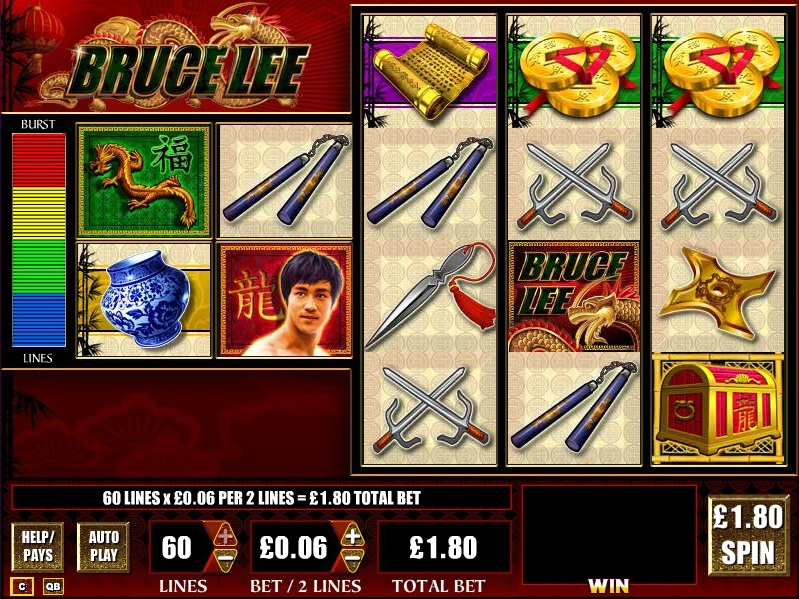 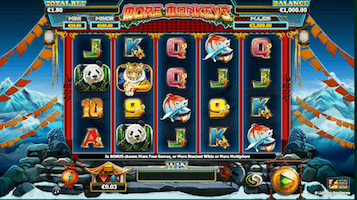 If You are looking for mobile pokies, there are no better ones than machines created by Net Entertainment. 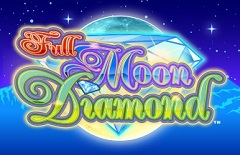 They have by far the best offerings when it comes to game quality and tailoring to play on portable devices. 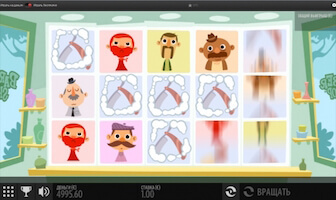 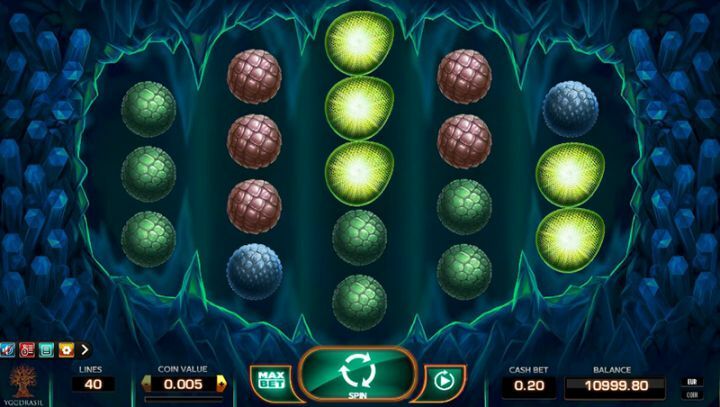 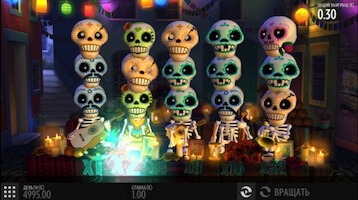 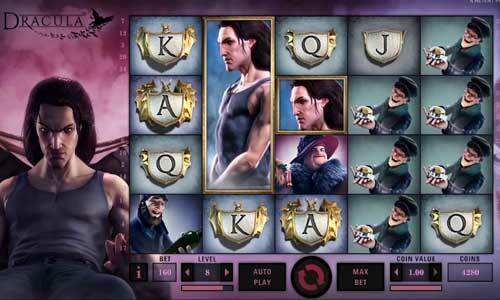 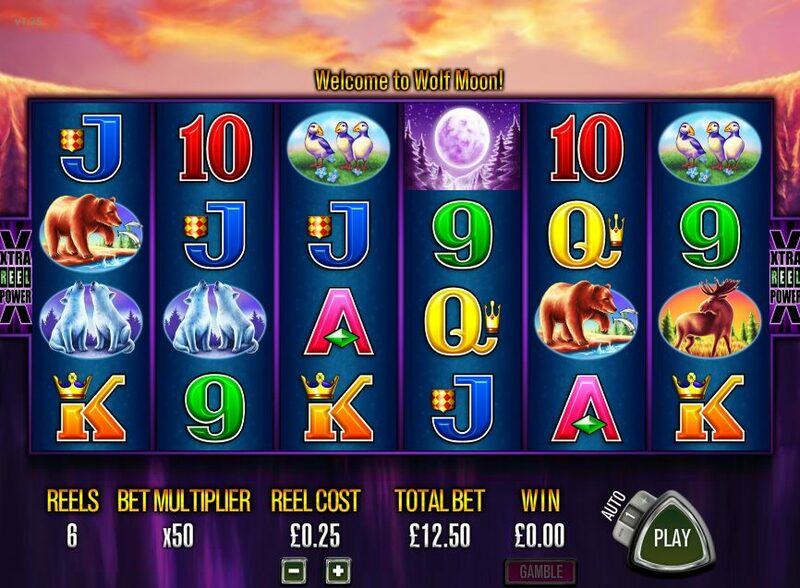 We suggest CasinoRoom for all of You looking to play on mobile. 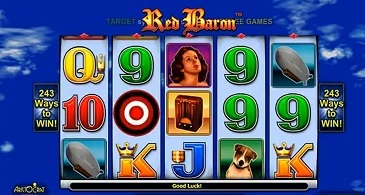 We hear many people being terrified with the idea of downloading some random casino software to their computer, where some personal information is often stored at. 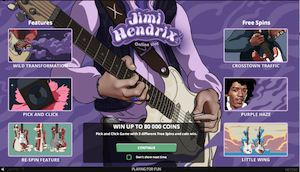 The good news are that many software providers provide an online-only playing environment, so You don’t really need to download anything and playing is done via a browser. 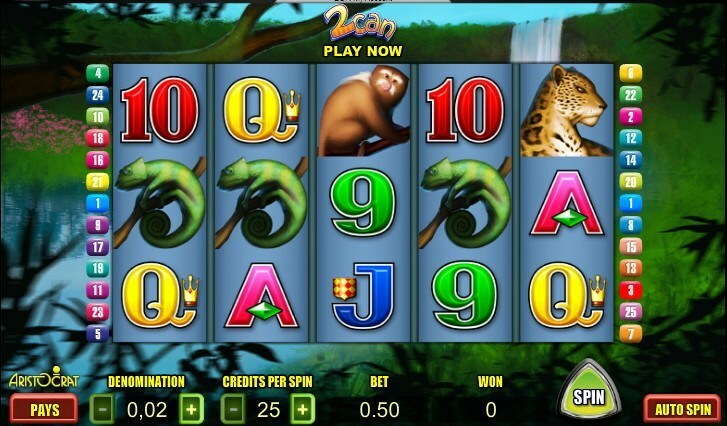 All casino sites offering games by NetEnt utilize a platform allowing You to play in Your browser. 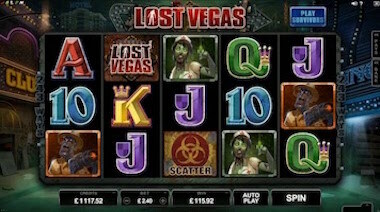 Other casinos, particularly those powered by MicroGaming only, are normally available via download only. 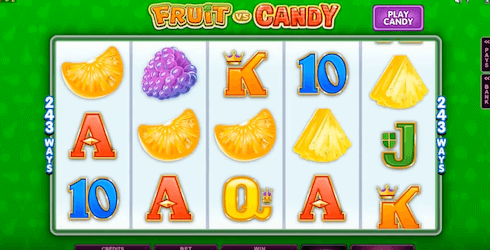 We don’t really see how this is beneficial to players and since it’s 2015, all casinos should be offering players a choice in regards to this. 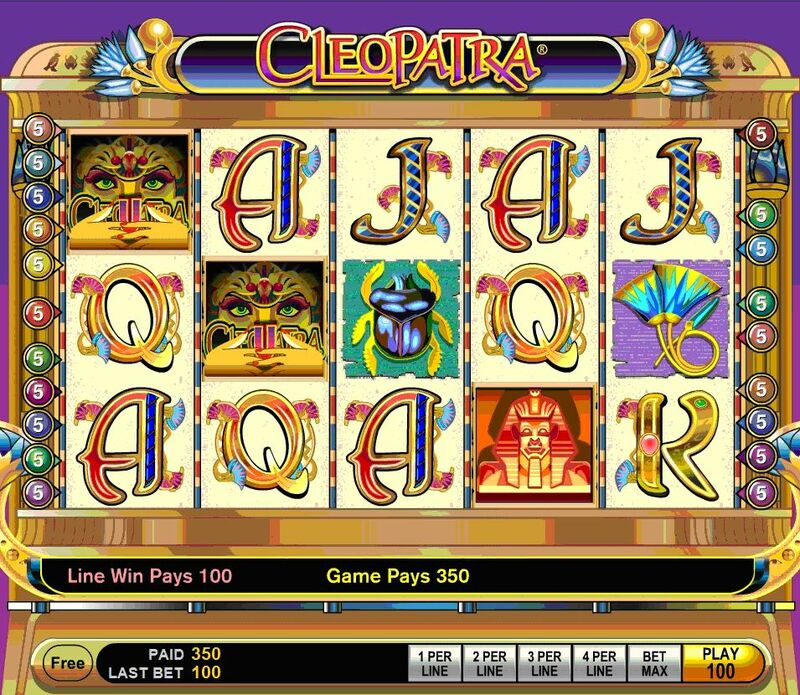 We have decided not to work with online casinos limiting players to only this single choice of a required software download. 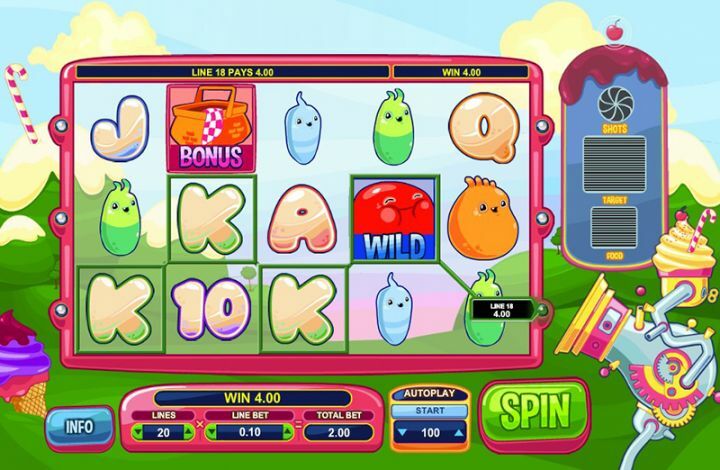 Anytime You play pokies for real money make sure that the connection is secure. 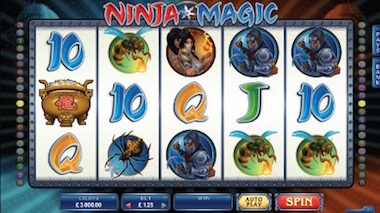 Normally You’ll be able to see the URL in Your web browser starting with https instead of just http, with “s” standing for secure connection. 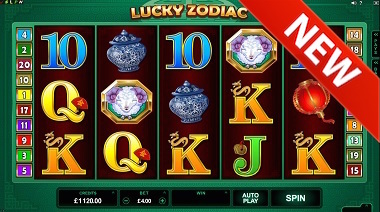 Some browsers will also display a large green block next to the URL with proof of a security certificate and give You a chance to verify it’s legitimacy. 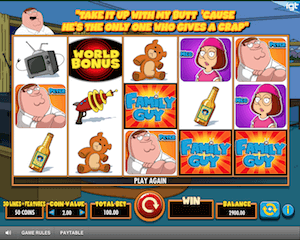 Browsers such as Google Chrome and Mozilla Firefox offer this feature. 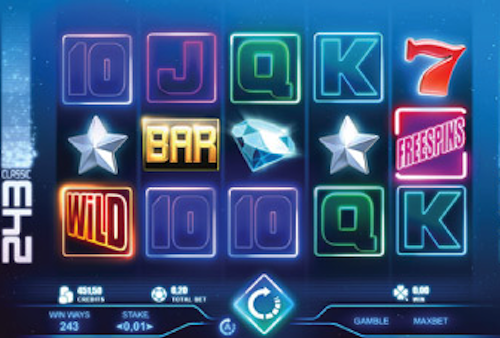 All casinos, at least all of those worth playing at, will offer a chance to set Your gaming limits as a part of their commitment to responsible gambling. 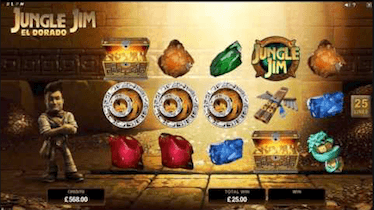 When it comes to this, each casino is different, but when You join Guts Casino, You are given a chance to set Your own deposit limits for a single day, week and a month. 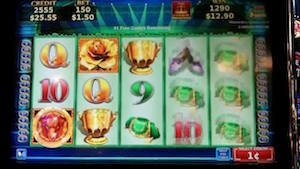 If You’d like to revoke Your playing rights for a certain period of time, that’s also a possibility. 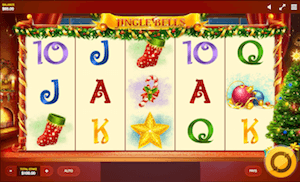 Simply get in touch with live chat customer support at the casino You are playing at and ask them to temporarily disable the playing ability for Your account. 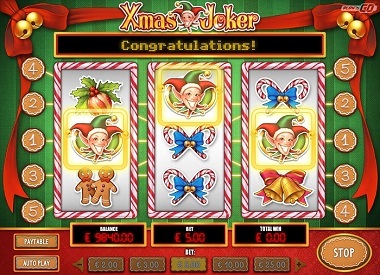 KYC or know your customer is a requirement given to all online casinos in order to avoid money laundering through gaming. 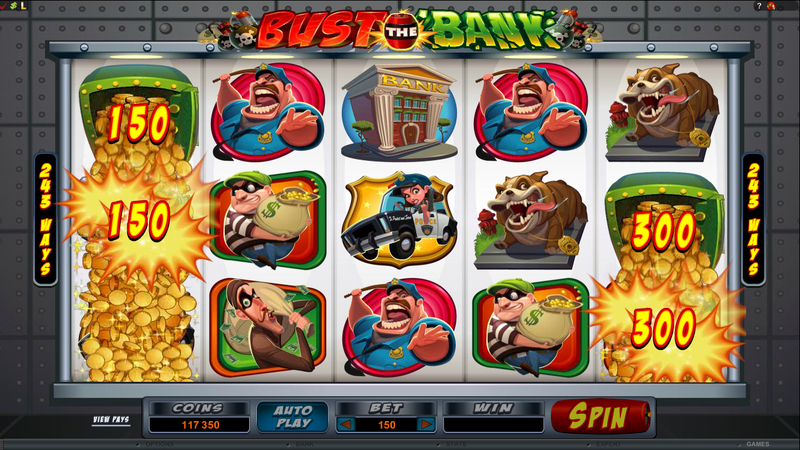 What this means is that You will need to prove Your identity before any sizable withdrawals can be made. 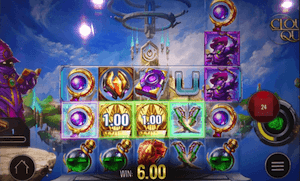 We are pointing this out because we’ve had quite a few confused players asking us if this is normal or safe. 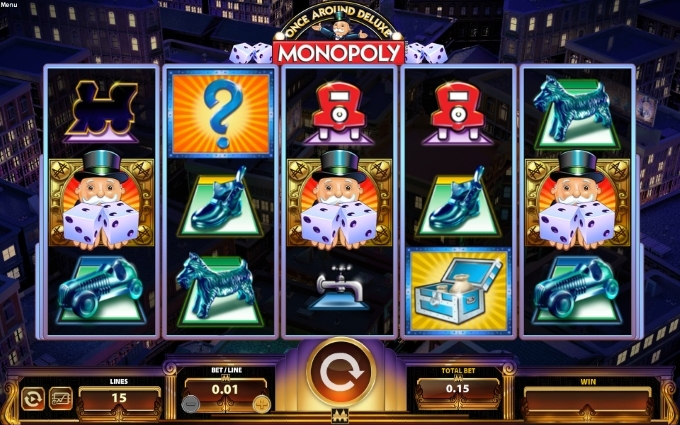 The answer is yes – it’s perfectly acceptable and in fact good that a casino is asking Your to prove that You are in fact the person You claim to be. 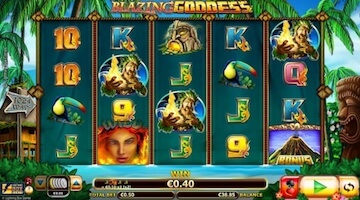 Maltese license, for example, allows players to withdraw a cumulative amount of $2,300 before casinos with their license are required to have Your ID and proof of address on file. 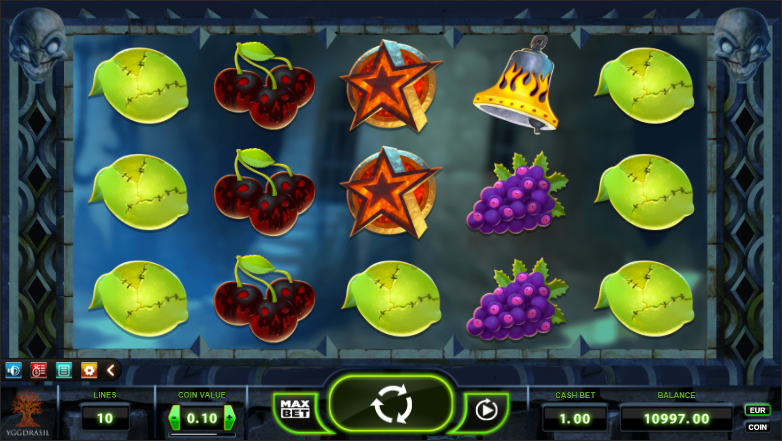 Great, innovative concept with sticky bomb symbols that blow up and duplicate nearby symbols. 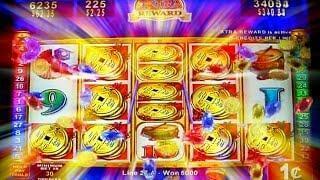 We throughoutly enjoyed the playing experience. 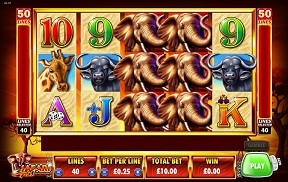 Very decent winning potential with a 1,000x payout possible. 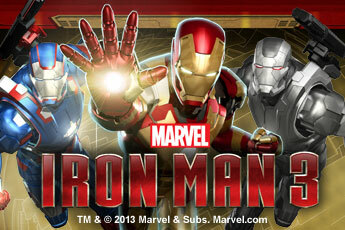 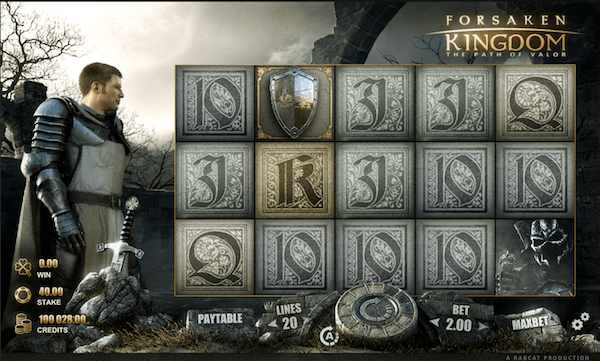 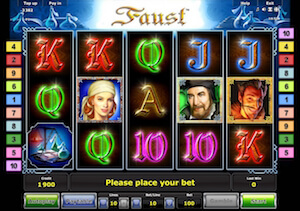 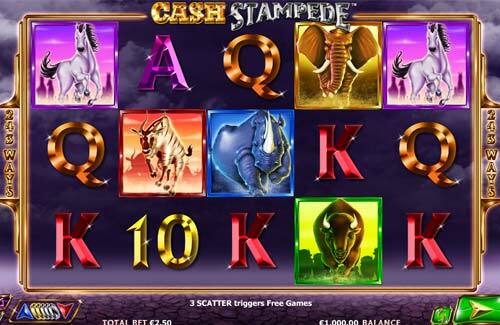 Epic graphics and sounds plus a chance to win up to 500 times your stake. 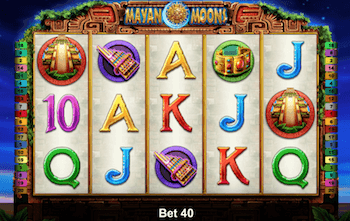 Win up to 500 free spins with special stacked symbol offering a massive win potential! 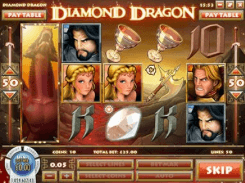 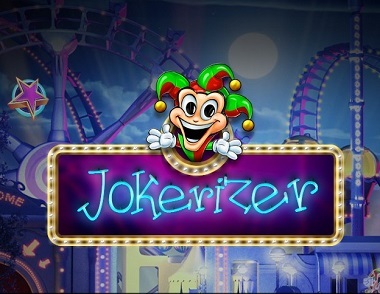 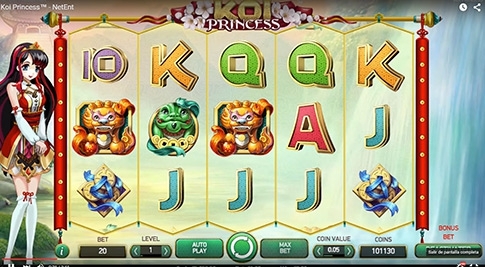 Typical pokie machine from Konami Gaming with up to 100 free spins available at multipliers as high as 28x in the super free spins mode. 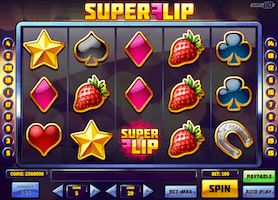 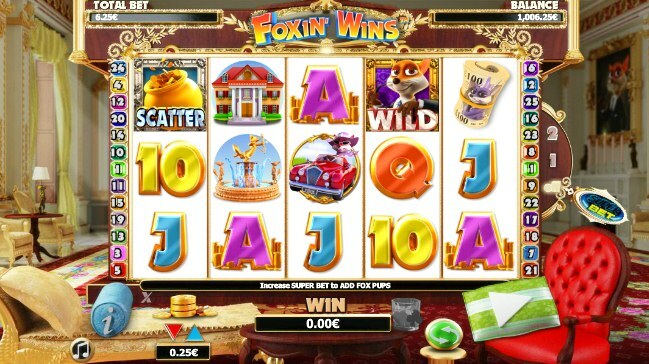 Typical pokie from Konami Gaming with 15 free spins at x2 multiplier up for grabs. 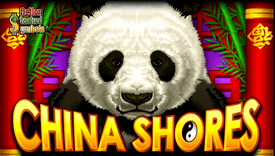 Win up to 966,000 coins (over 3,000 times your bet) during the free spins round, where multipliers of up to x10 are possible. 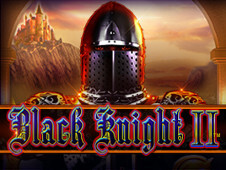 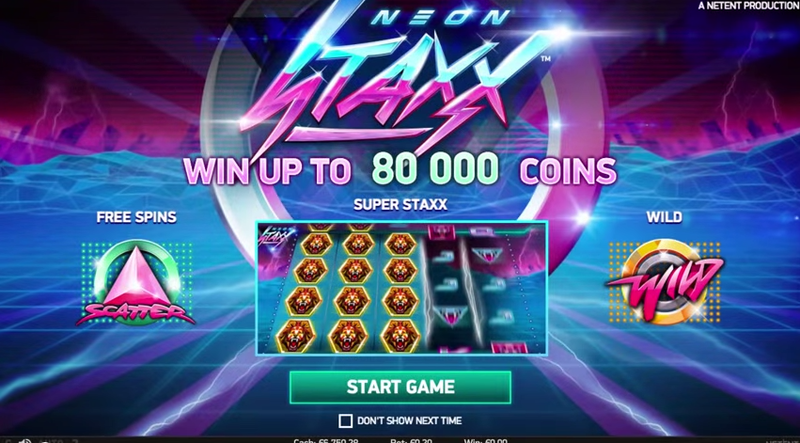 Decent looking game from NYX awarding players with a free spins feature and additional bonus game. 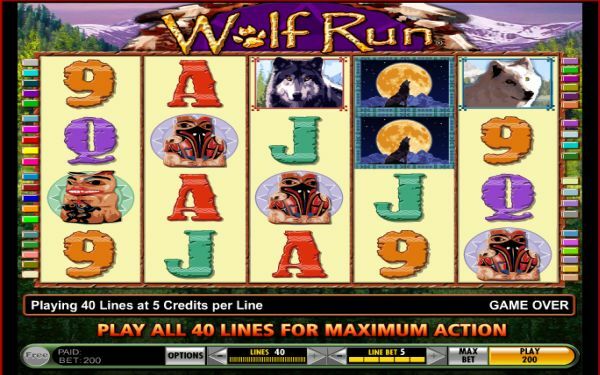 Wolf is wild and comes as a stacked symbol. 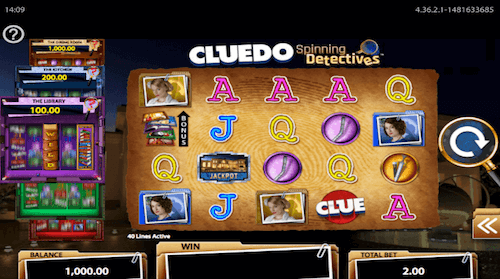 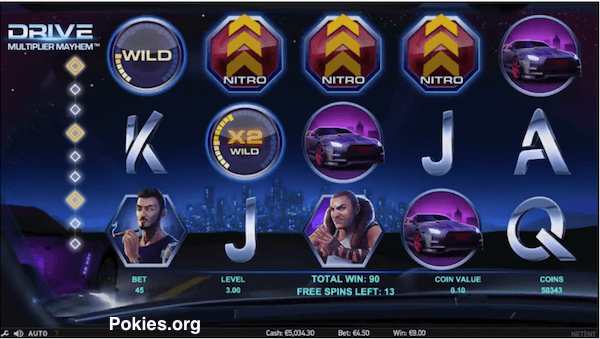 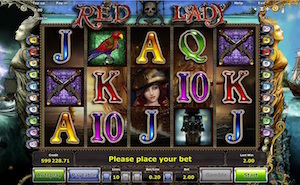 Very basic pokie game with bad RTP and no free spins feature. 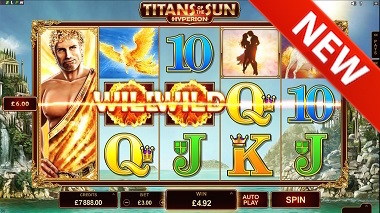 Would not really recommend playing it, as there are much better alternatives with similar themes - even Starburst from NetEnt. 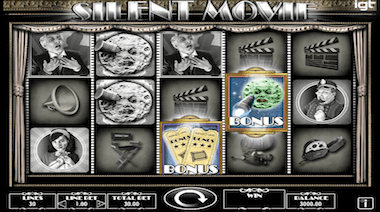 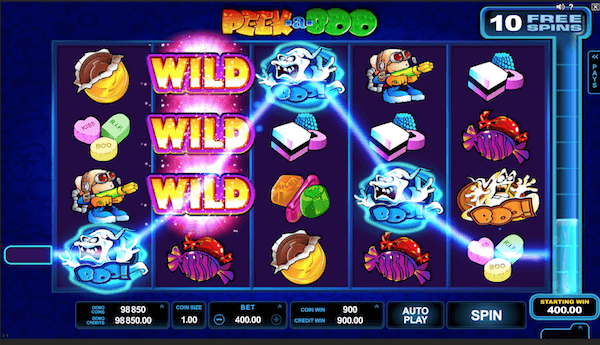 Officially licensed pokie boasting a randomly triggered bonus feature and expanding wild symbols and up to 2 random wild reels. 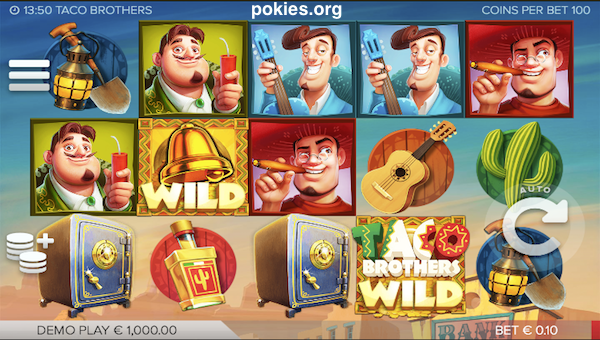 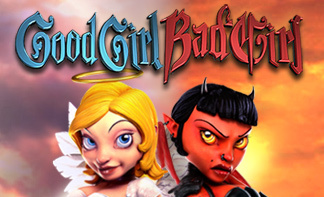 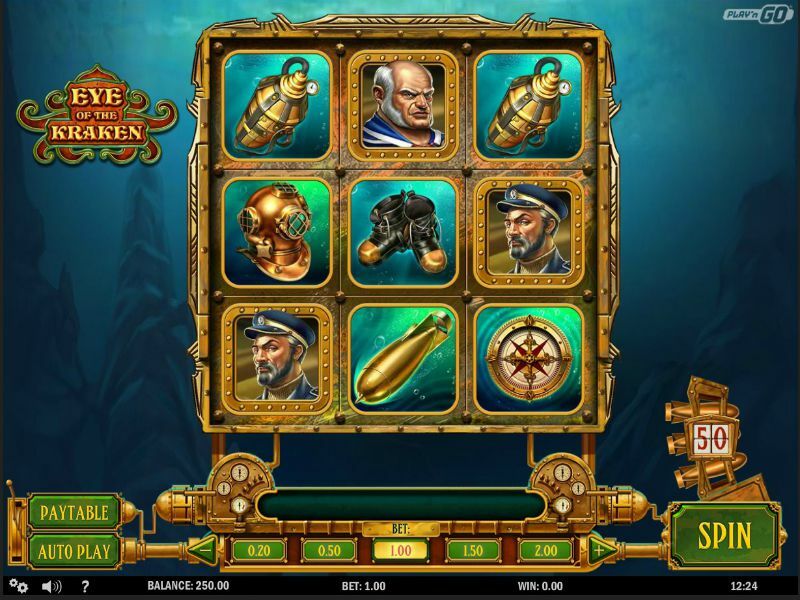 Good looking online pokie from IGT with up to 100 free spins available for triggering. 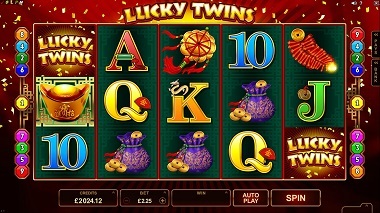 These also come with a x2 multiplier. 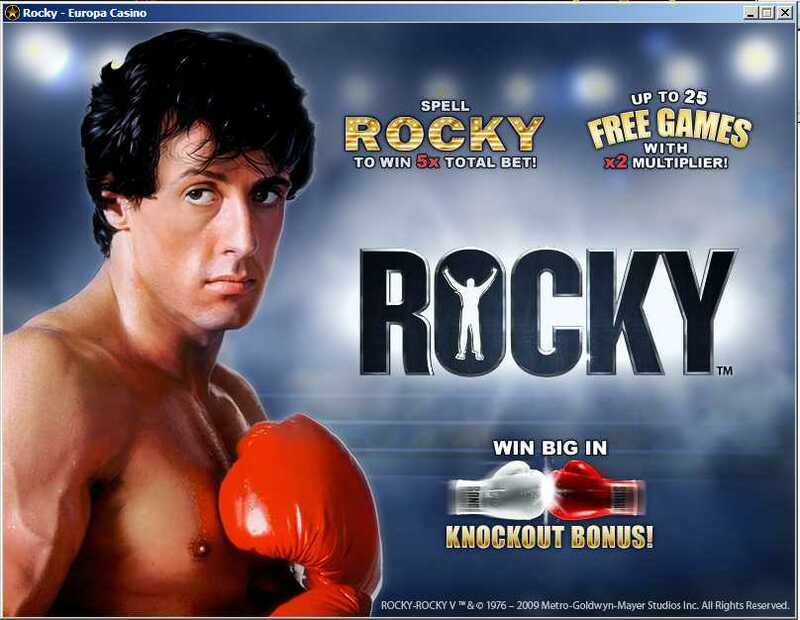 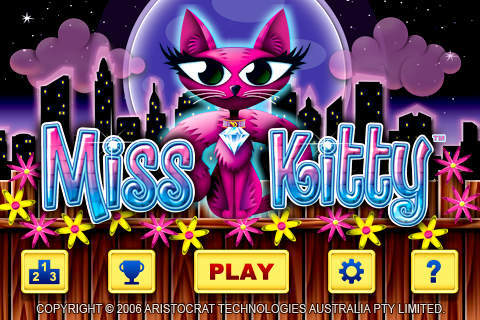 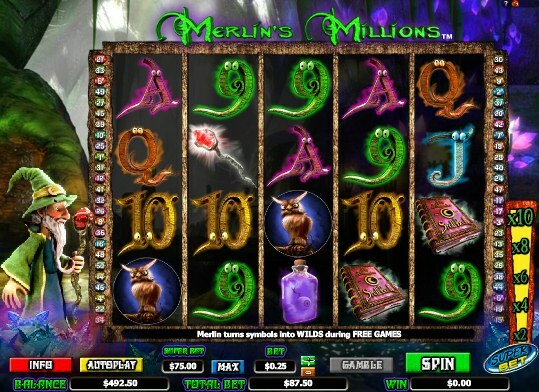 New online pokie from Net Entertainment with multiple bonus rounds, free spins feature and multipliers. 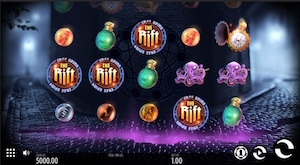 Rift is a gorgeous looking online pokie from Thunderkick and offers a unique bonus feature, low volatility and 17 pay-lines you can play on. 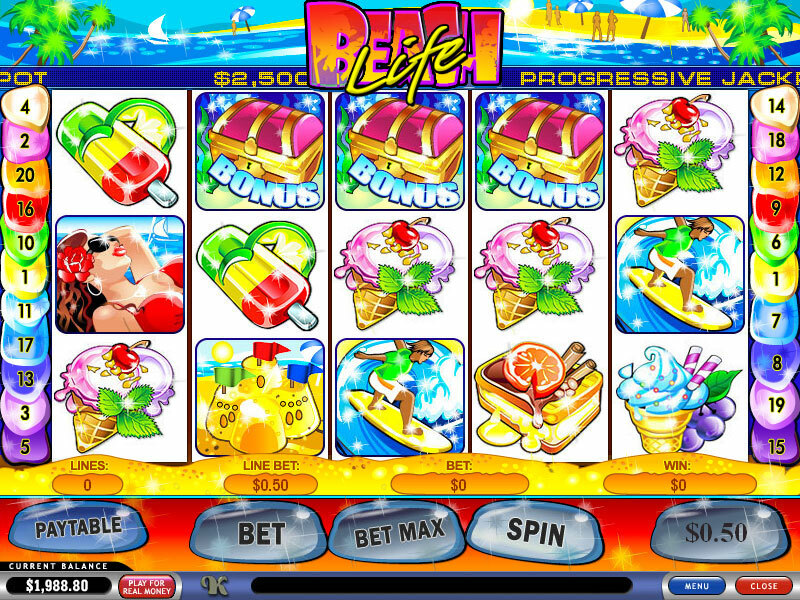 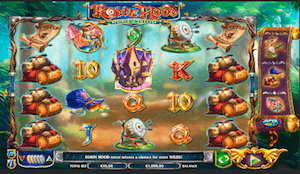 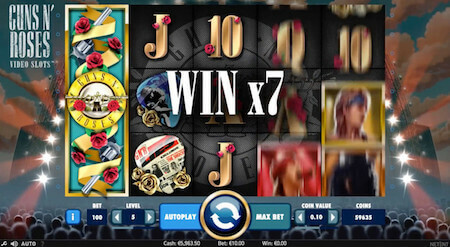 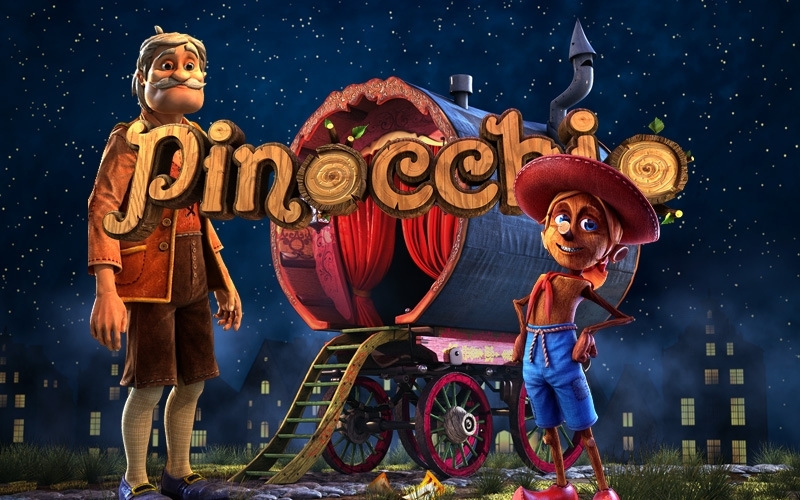 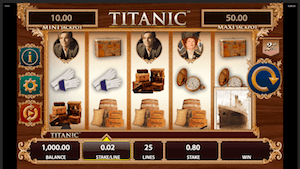 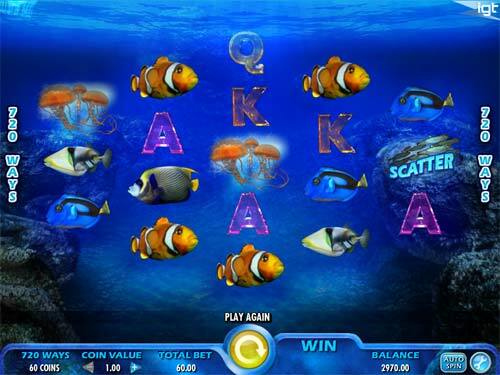 Nice 3D online pokie from Betsoft with unlimited free spins re-triggers and very solid RTP. 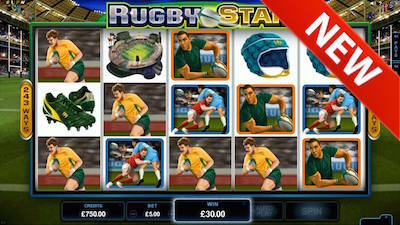 Exciting, football themed online pokie from NetEnt with free spins, bonus round and overlay wild symbols offered. 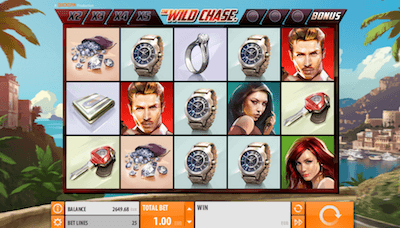 Low volatility, but also relatively low maximum win at 500 times your bet. 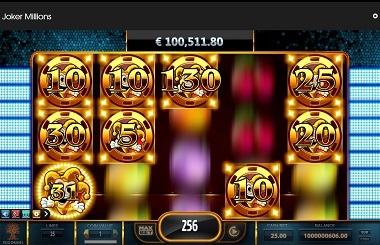 High payout potential due to the multipliers, the RTP could be better. 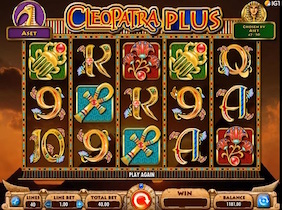 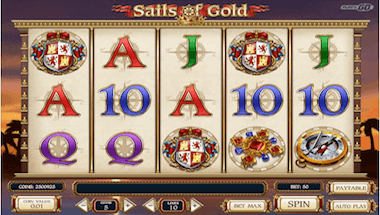 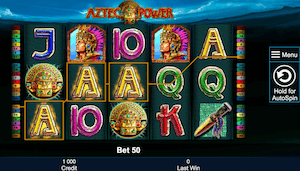 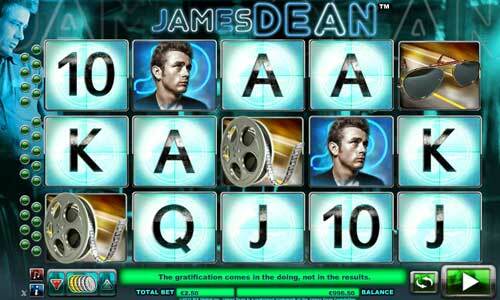 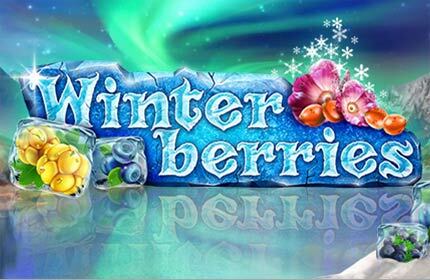 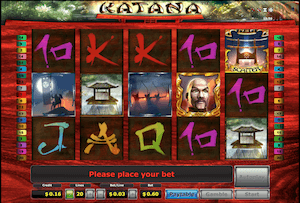 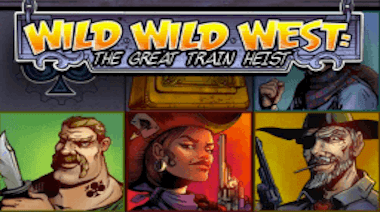 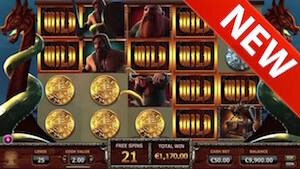 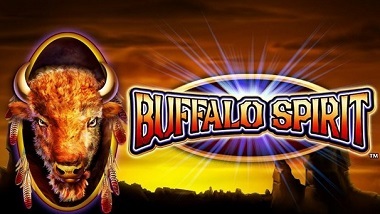 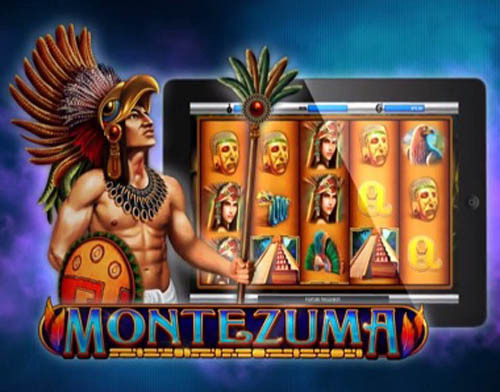 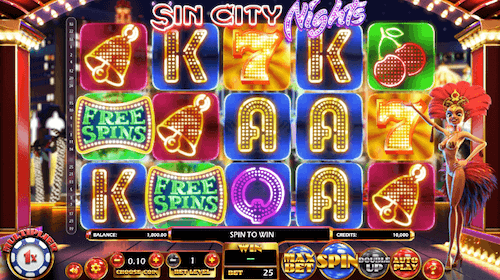 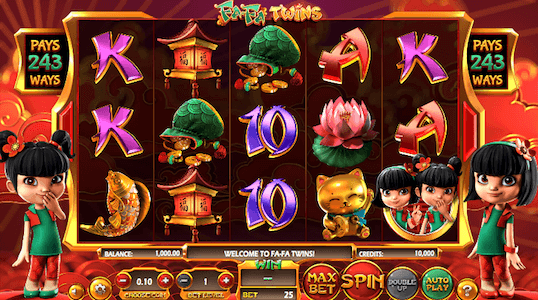 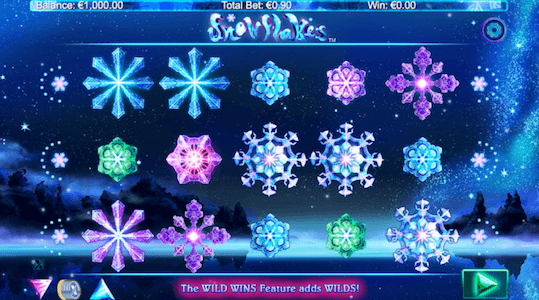 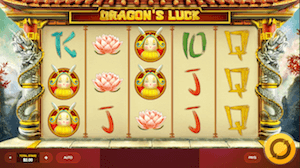 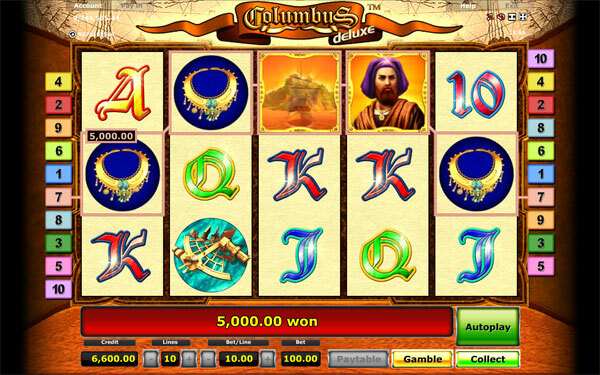 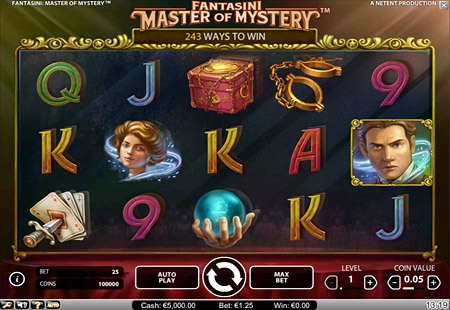 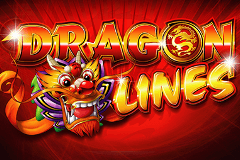 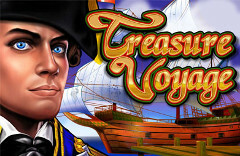 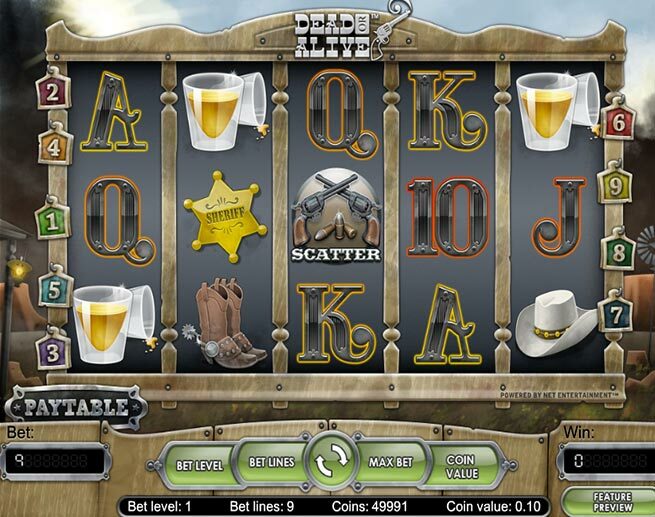 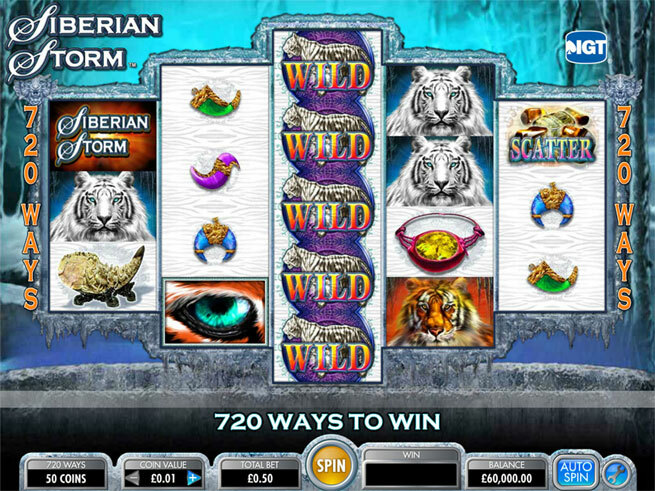 Amazing design, free spins with guaranteed wild symbols and multipliers as high as x10. 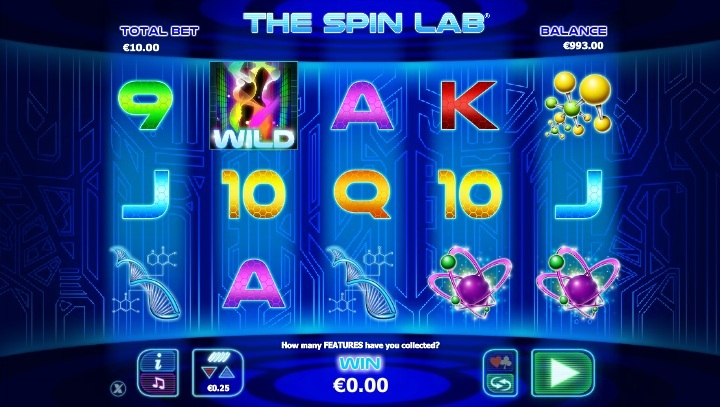 Cool re-spin feature and the maximum payout is reasonable. 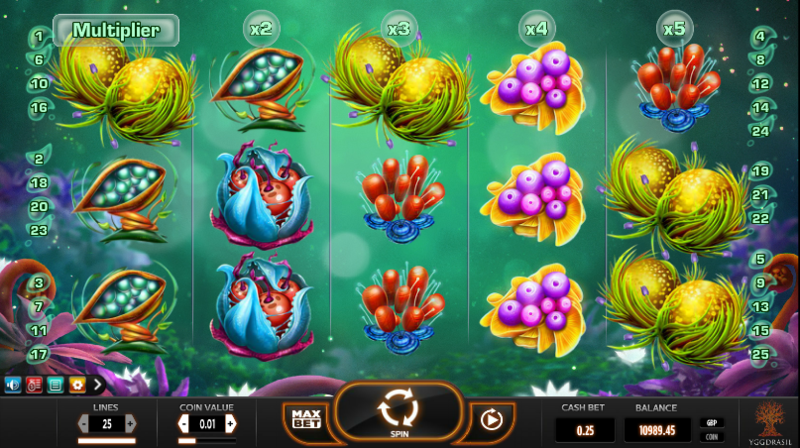 Beautiful graphics from PlayTech and available on mobile devices! 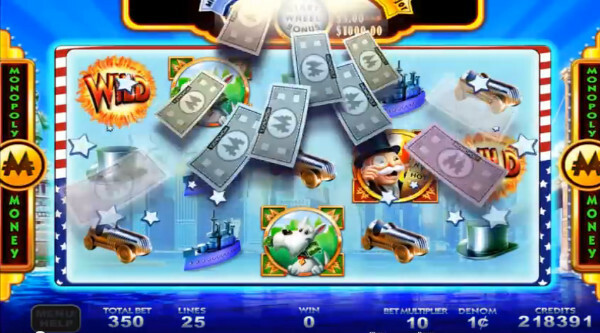 The design is fairly boring, but the game has some cool features, such as the Earthquake during free spins. 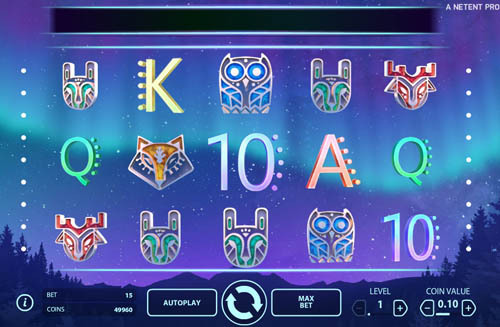 This locks up the middle wild symbol and blows up all the symbols to replace them with new ones. 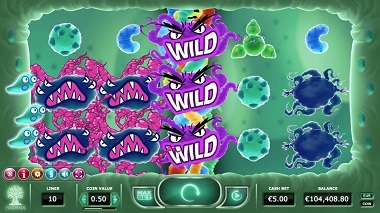 Kind of like the avalanche feature of Gonzo's Quest from NetEnt. 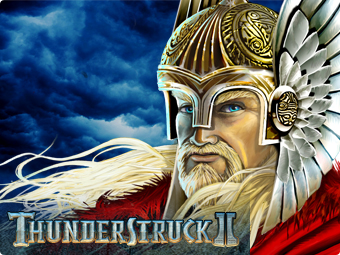 Win up to 225,000 coins & trigger three unique bonus games. 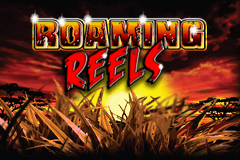 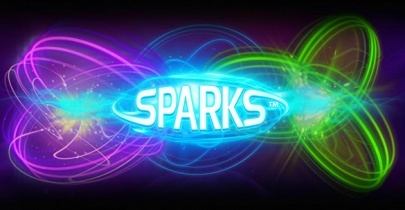 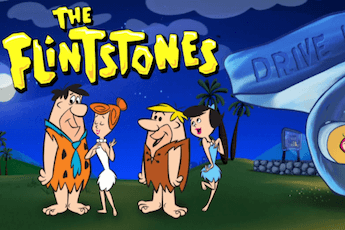 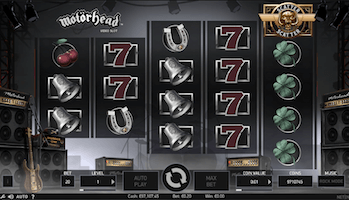 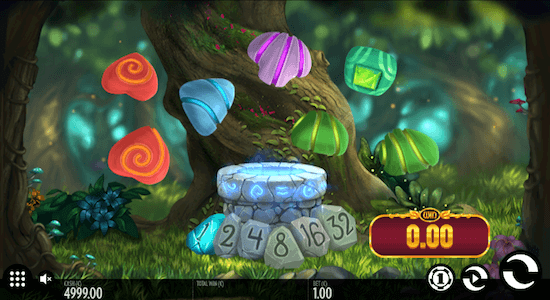 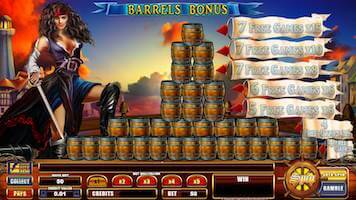 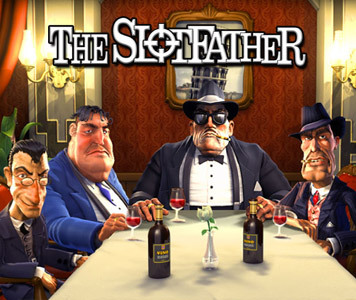 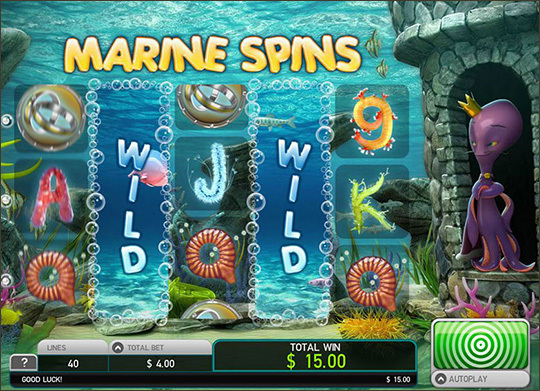 The latest release in NetEnt Rocks series of games with 3 free spins and a re-spin feature. 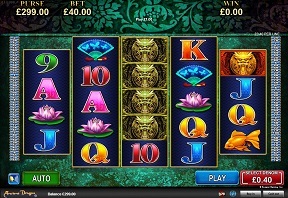 Impressive design and user experience. 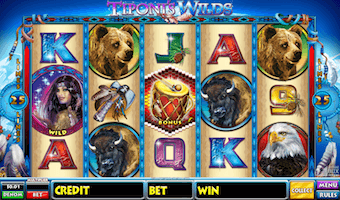 We love the 50,000 coin payout for 5 wild symbols and the quite volatile nature of the game. 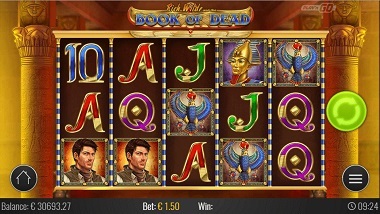 Modeled after Book Of Ra with the popular expanding wild symbol during spins. 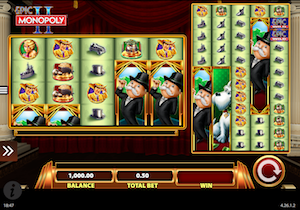 Top payout of 2,000x is significantly lower than the one at BOR, but this game is less volatile too. 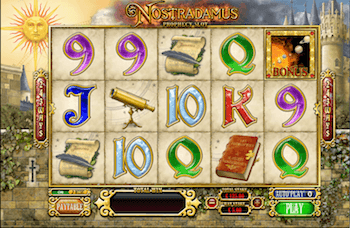 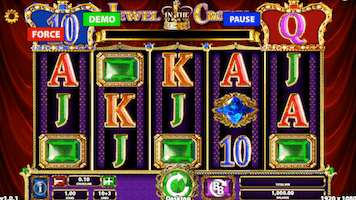 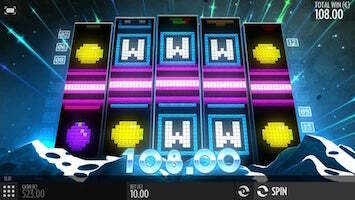 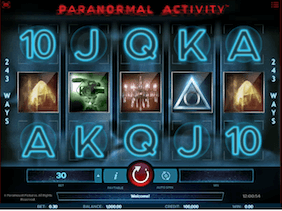 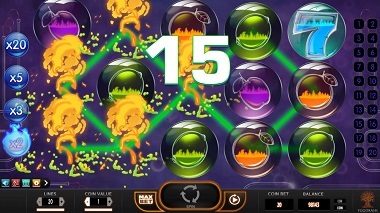 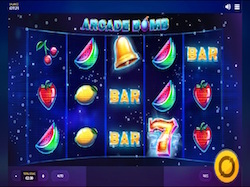 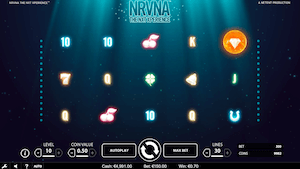 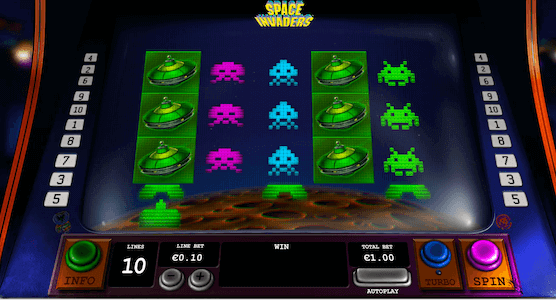 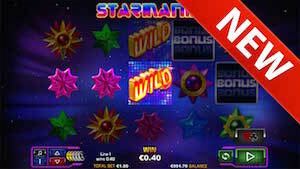 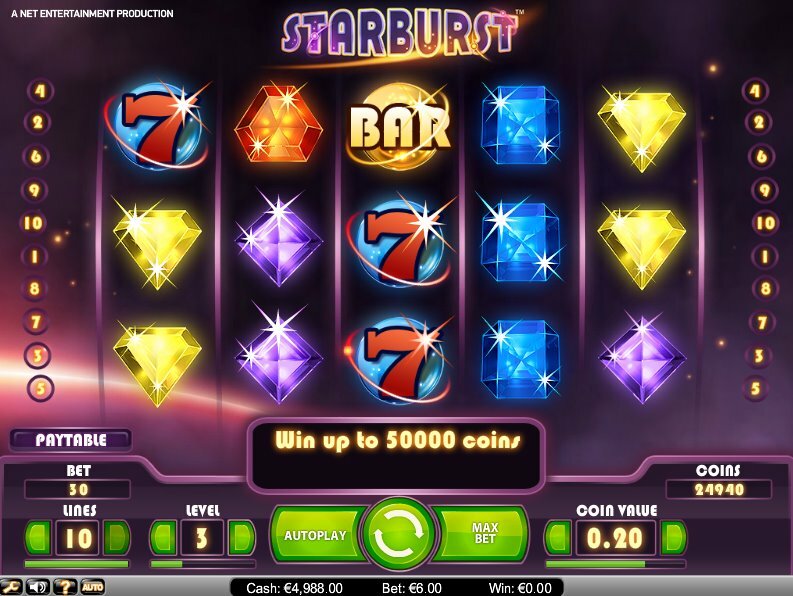 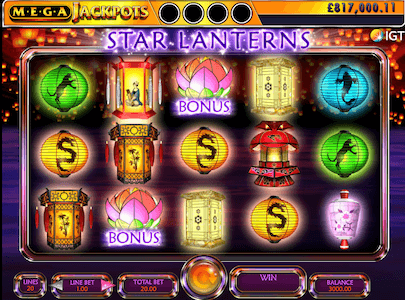 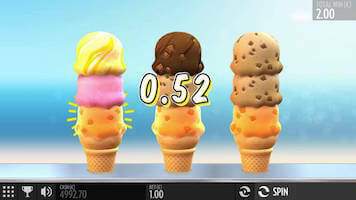 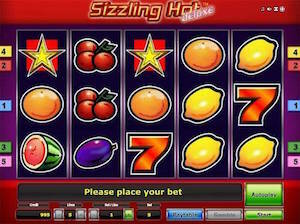 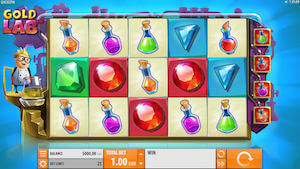 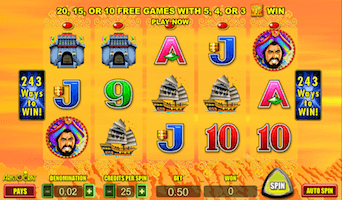 Novomatic's variation of the popular Starburst online pokie (from NetEnt). 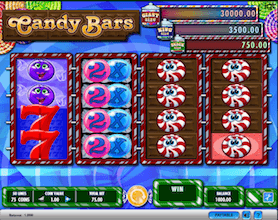 Pretty decent maximum win and definitely a game that is much more volatile than the aforementioned Starburst. 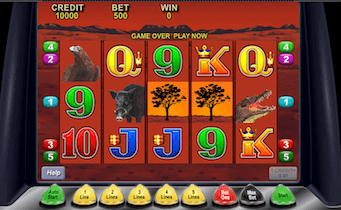 Extremely simple pokie game with major payout potential (top payout of 10,000 times your bet). 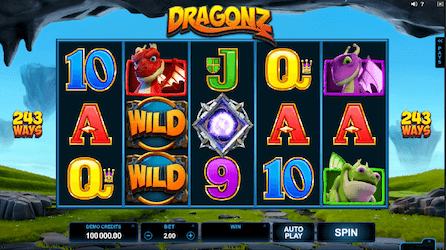 Perfect for those that like old-school/pub pokies. 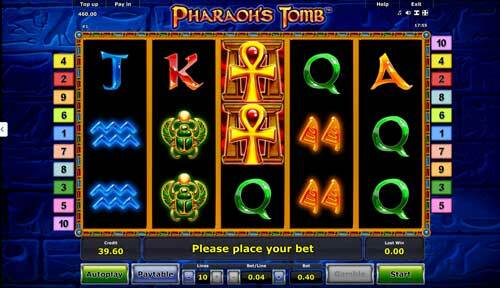 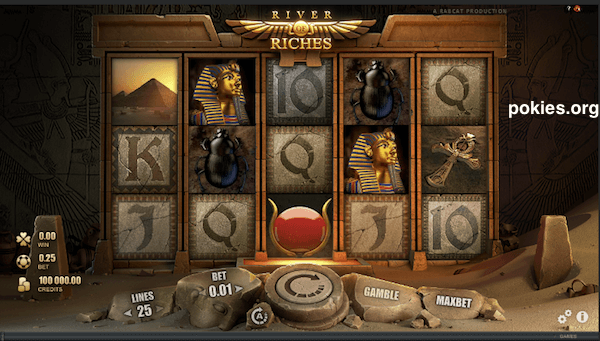 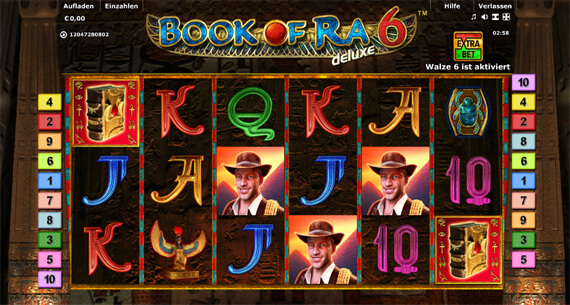 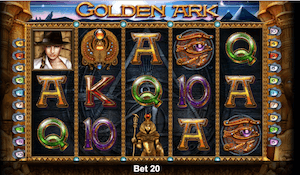 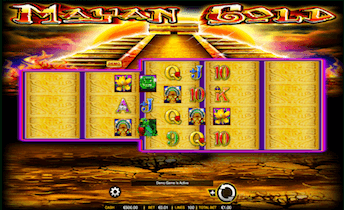 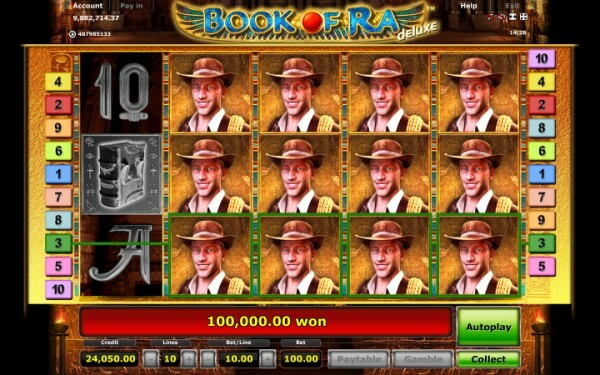 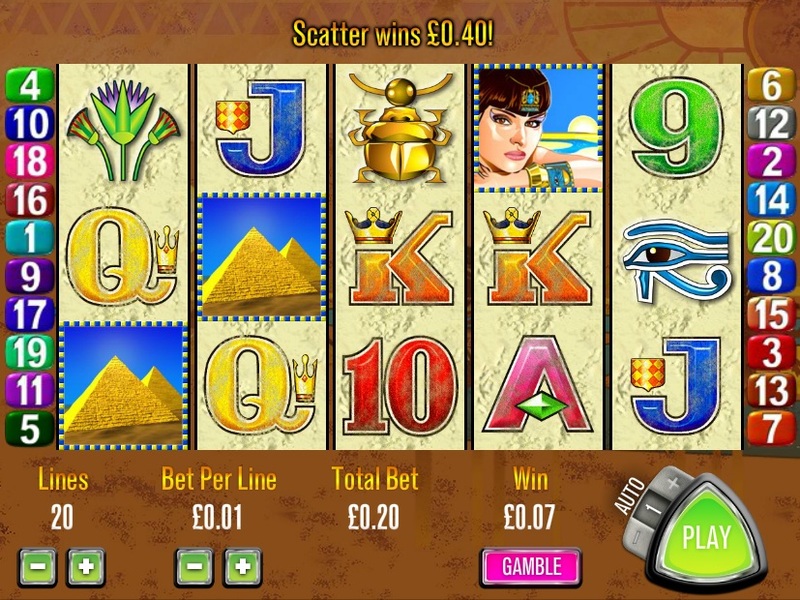 Another re-skin of the popular Book Of Ra online pokie. 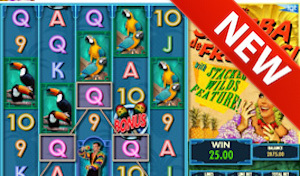 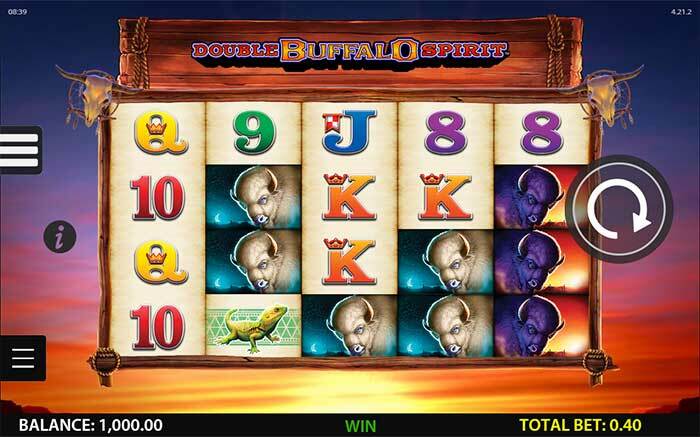 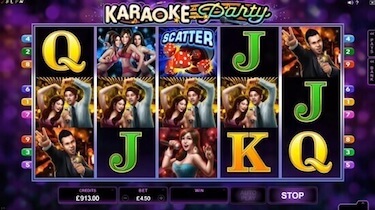 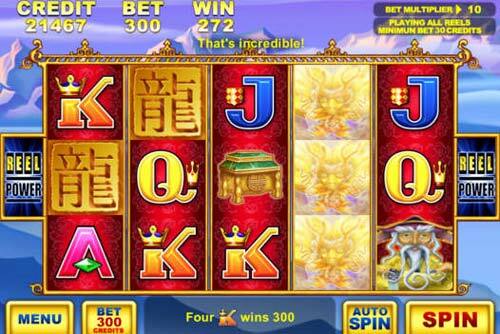 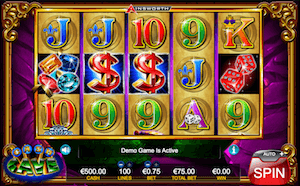 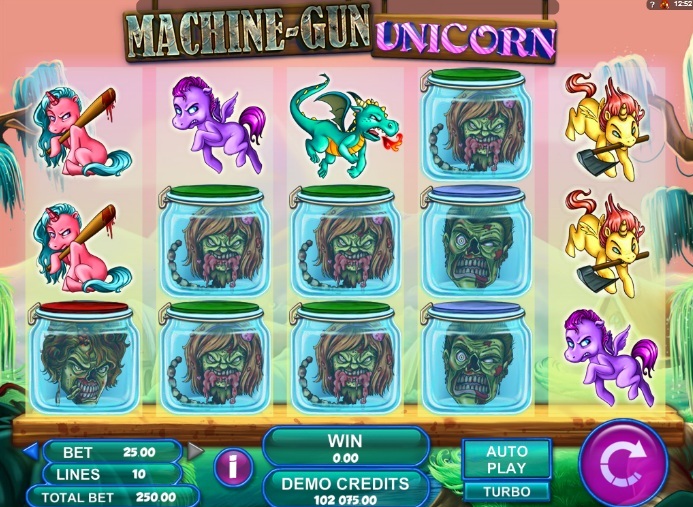 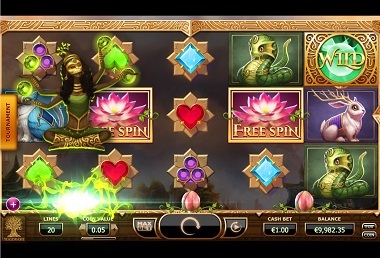 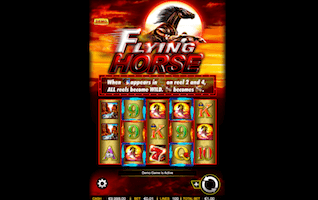 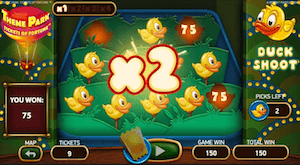 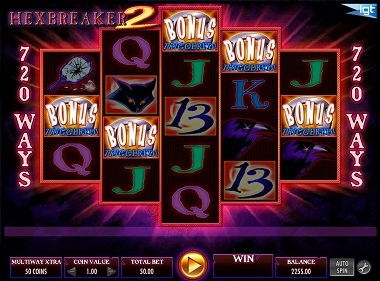 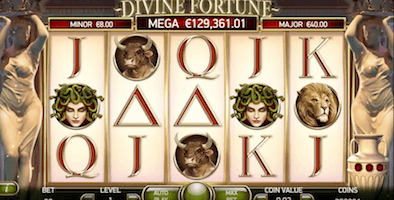 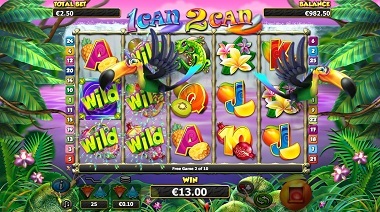 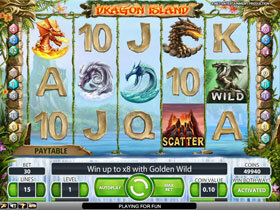 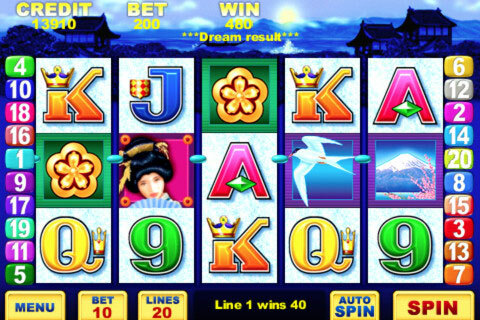 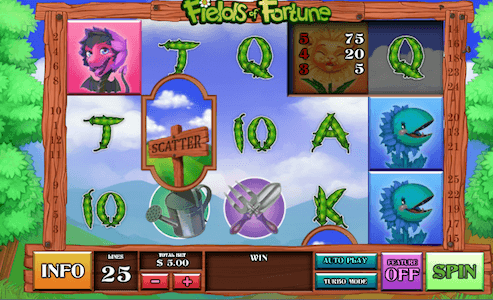 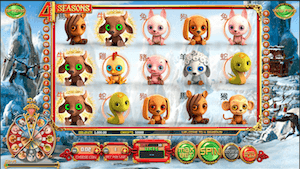 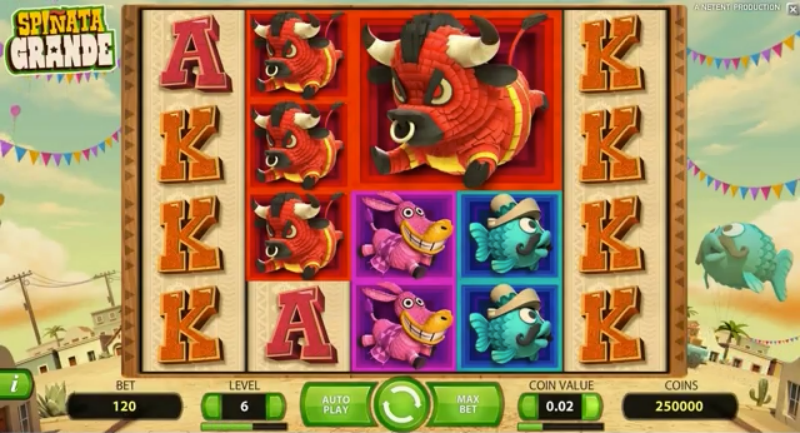 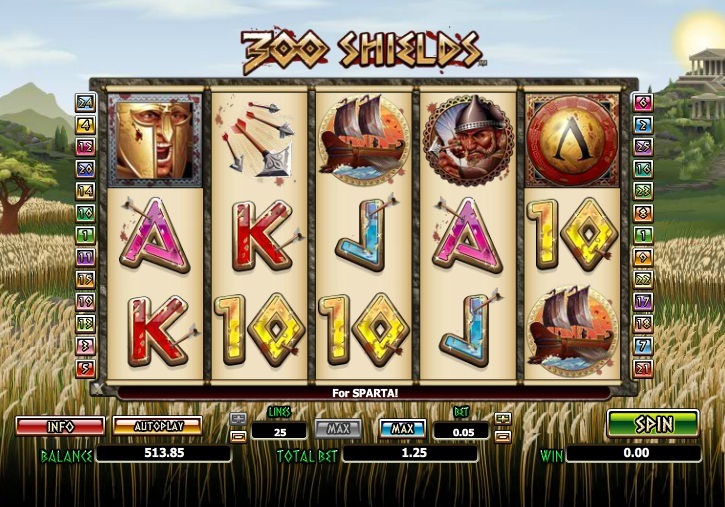 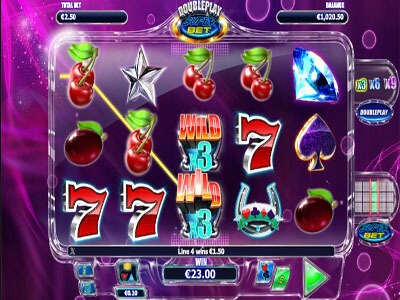 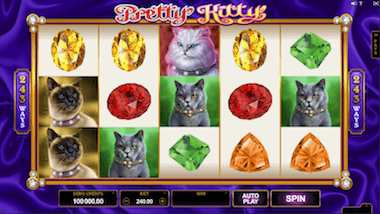 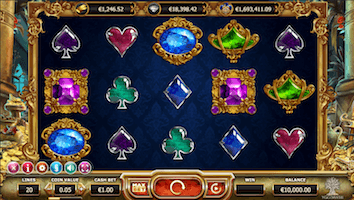 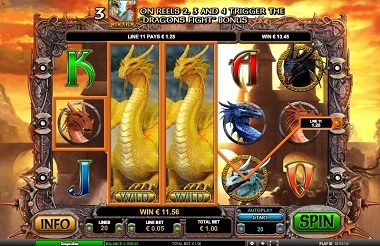 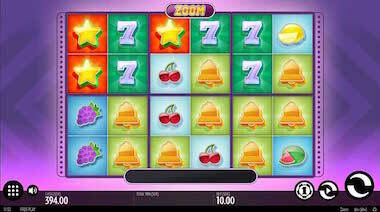 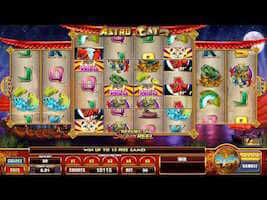 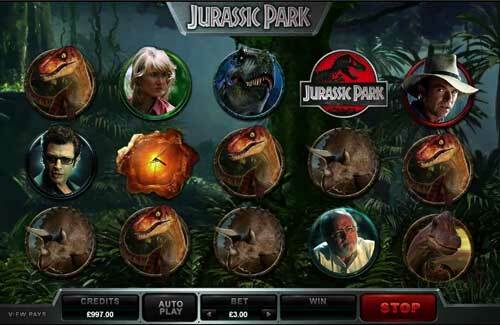 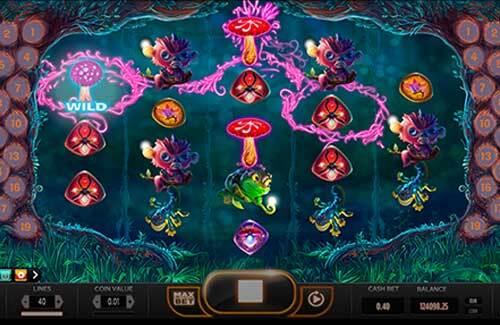 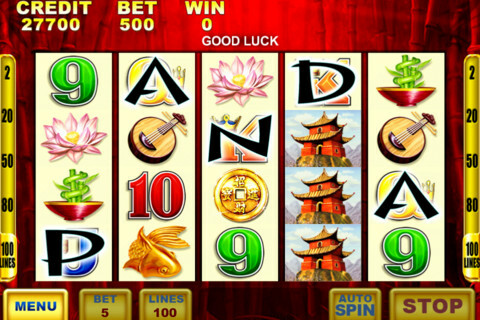 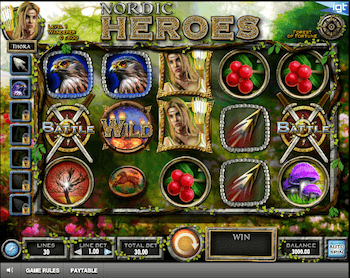 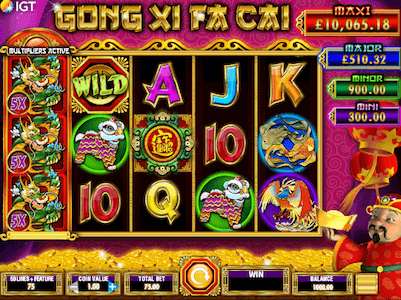 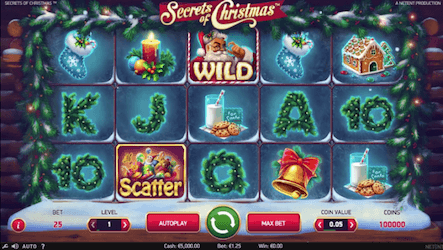 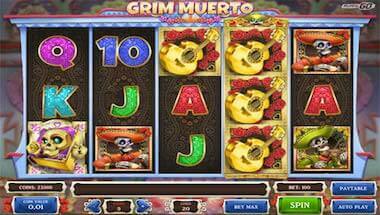 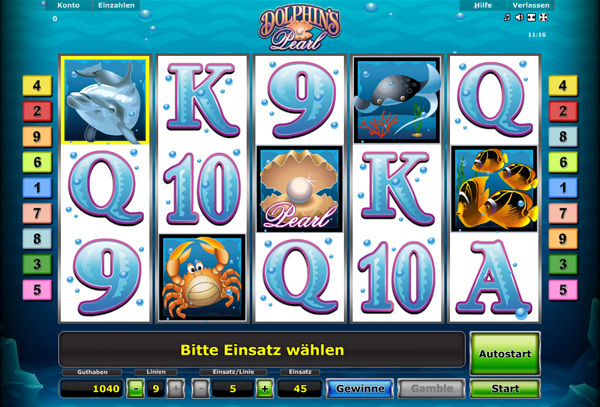 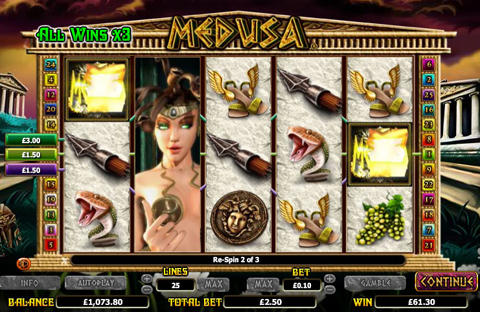 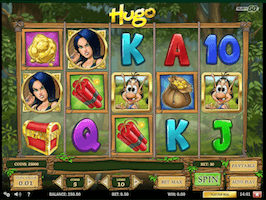 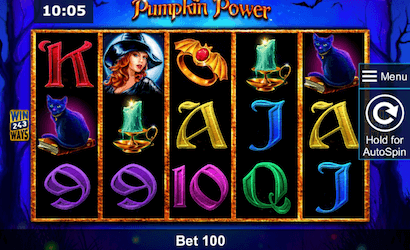 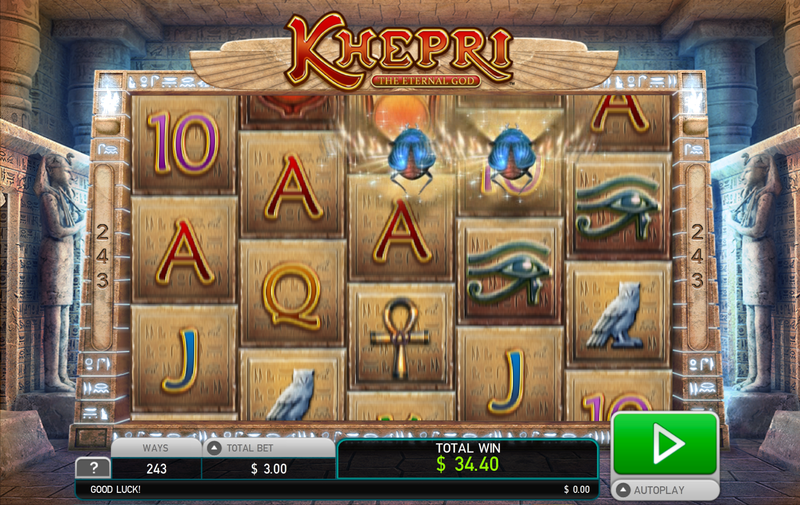 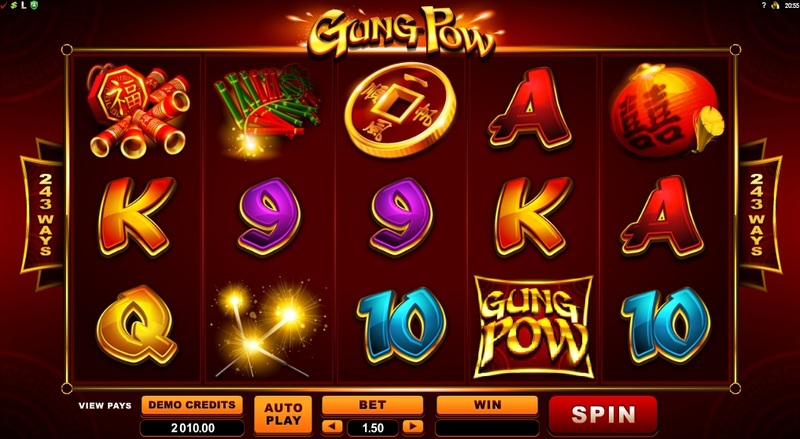 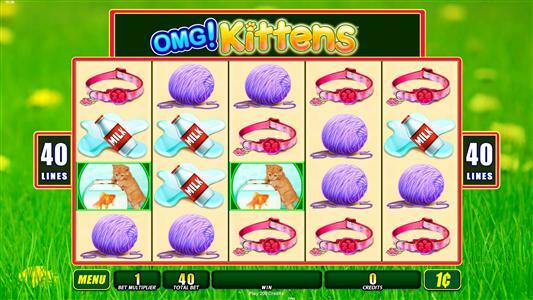 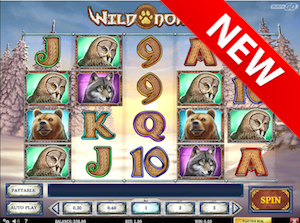 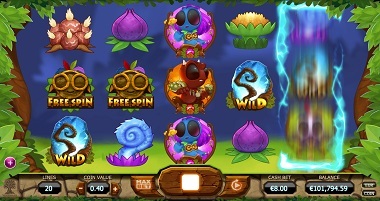 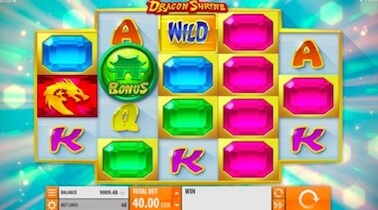 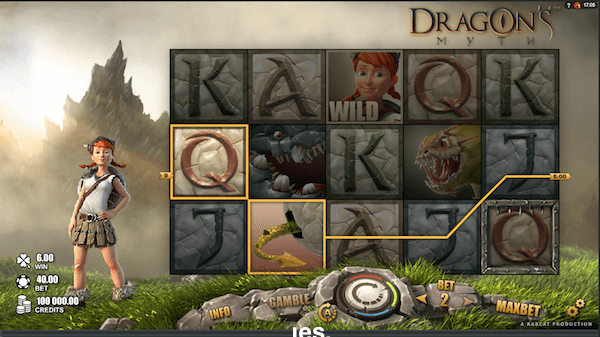 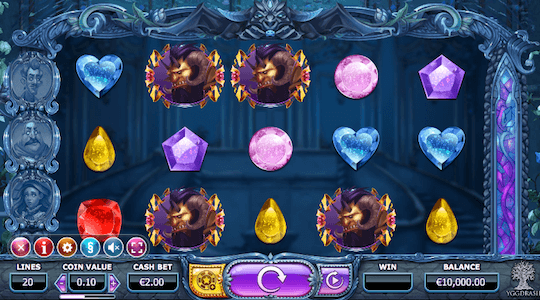 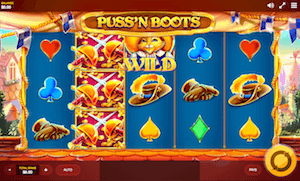 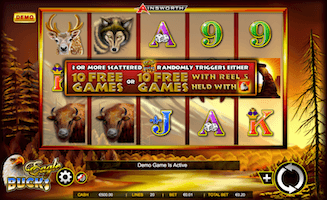 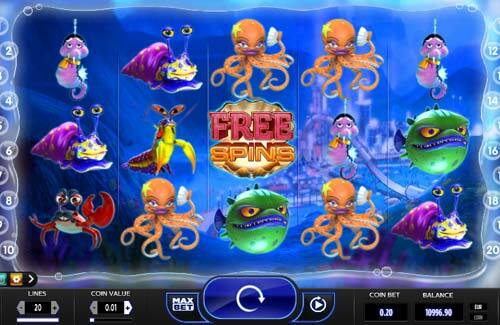 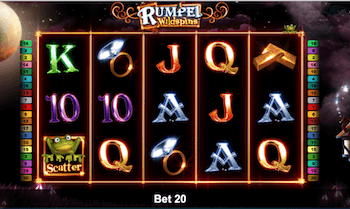 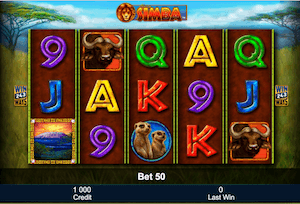 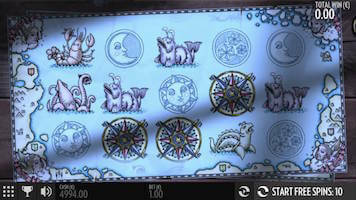 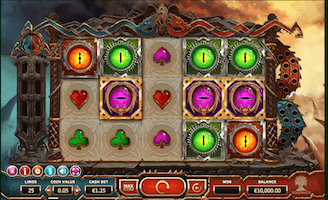 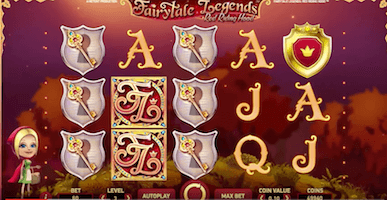 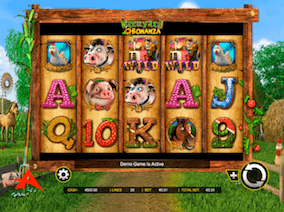 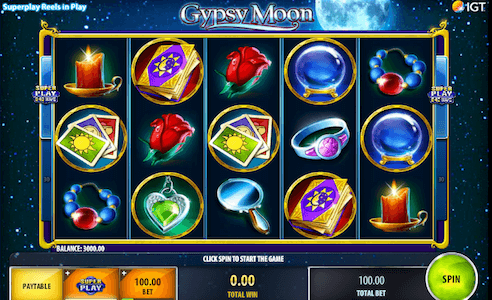 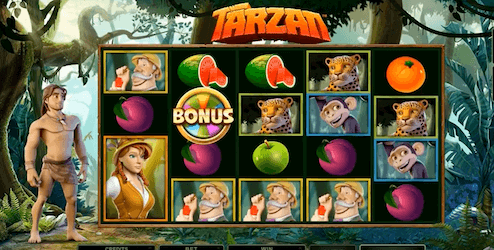 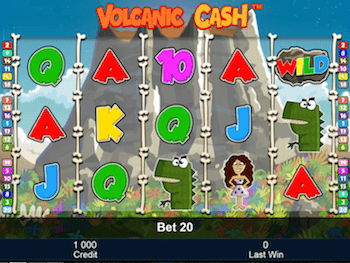 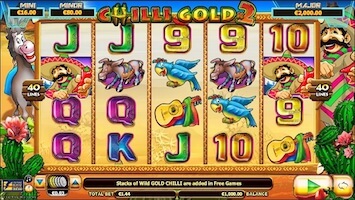 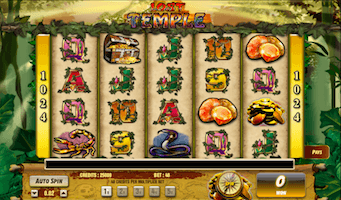 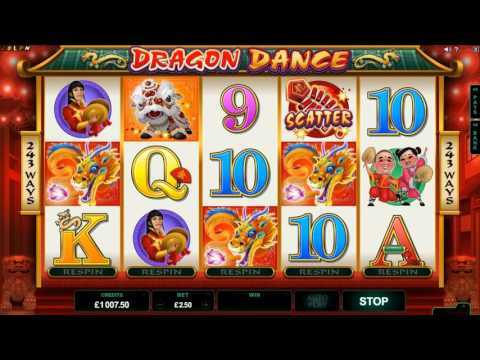 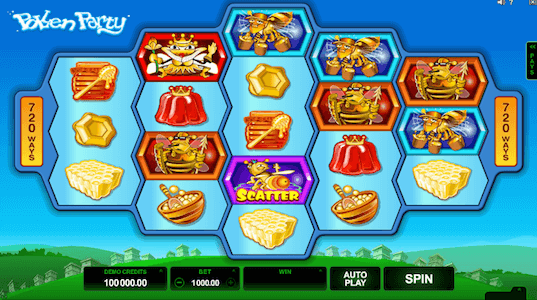 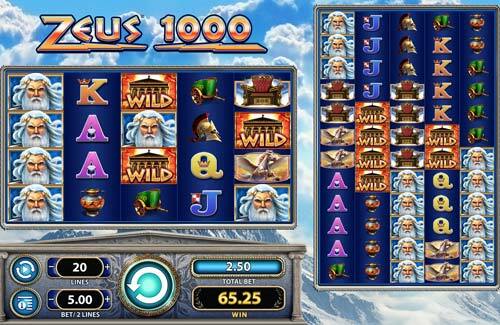 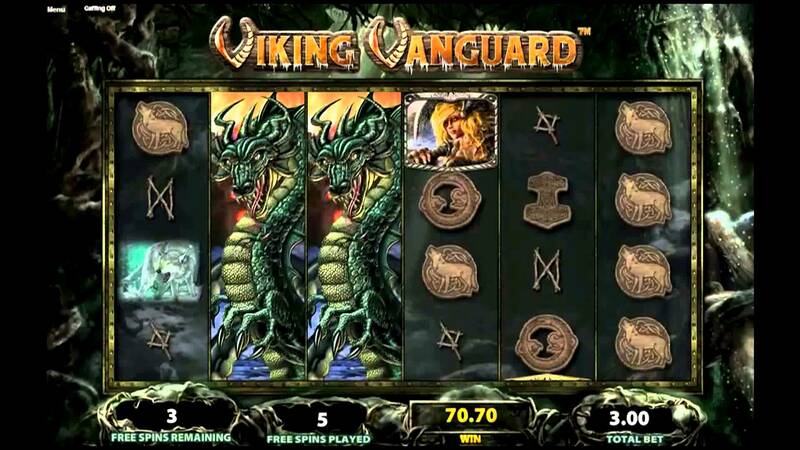 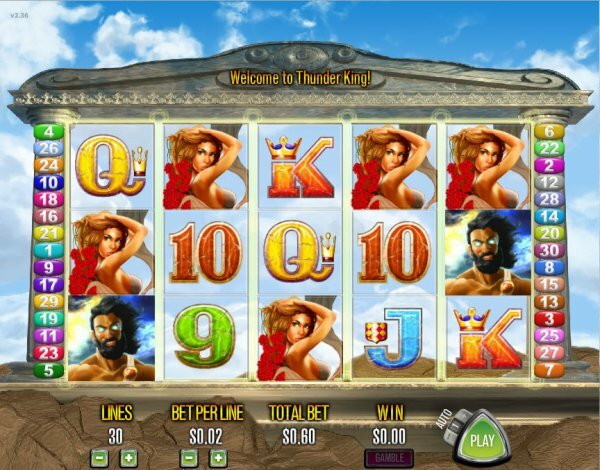 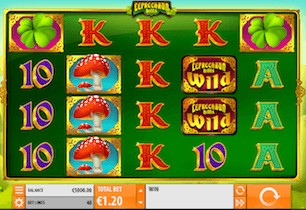 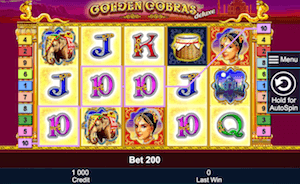 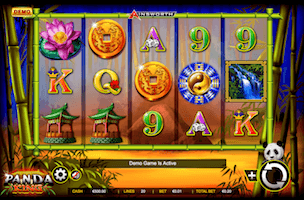 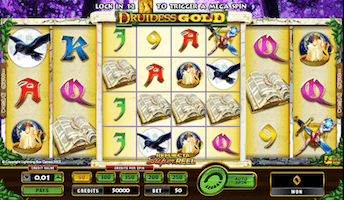 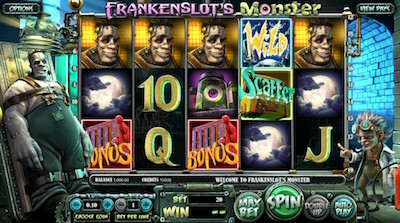 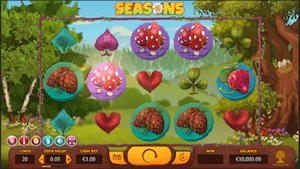 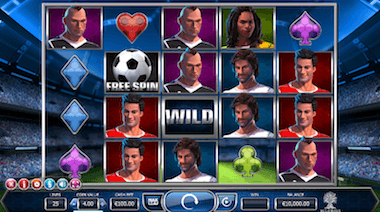 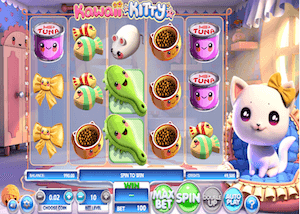 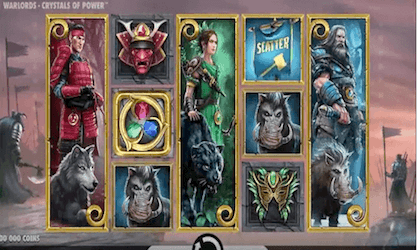 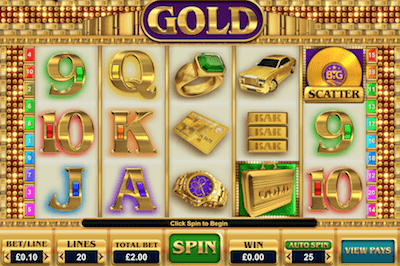 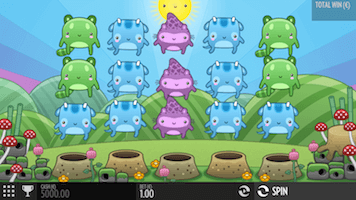 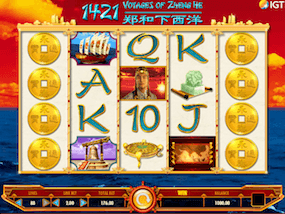 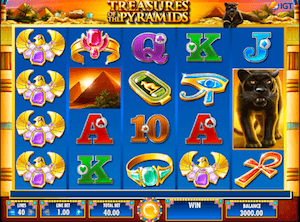 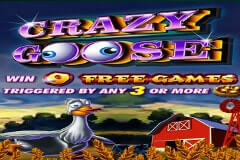 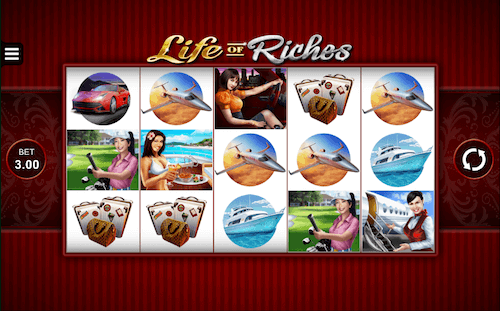 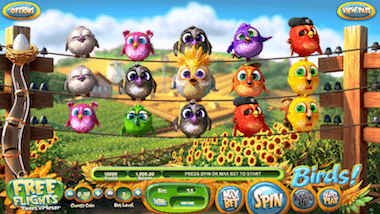 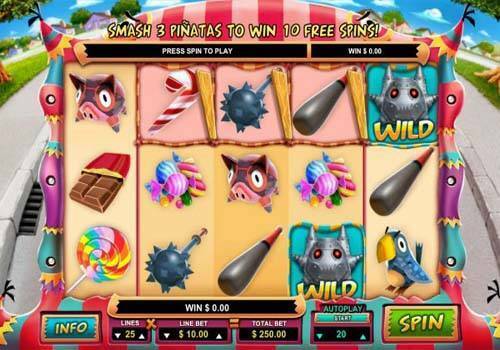 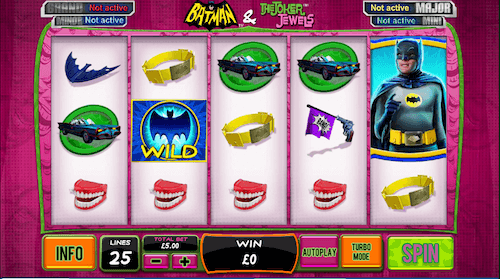 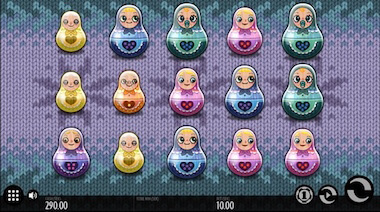 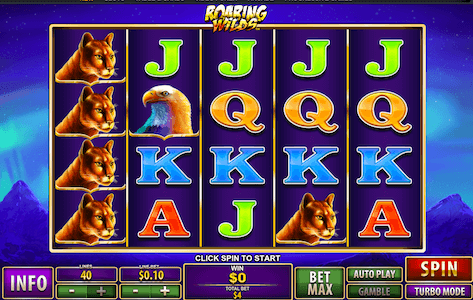 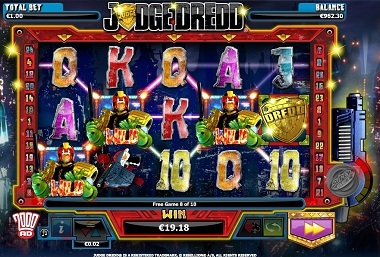 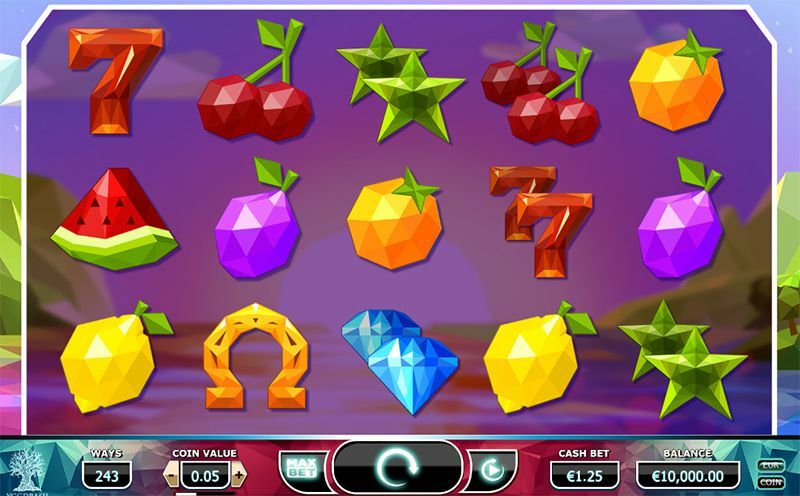 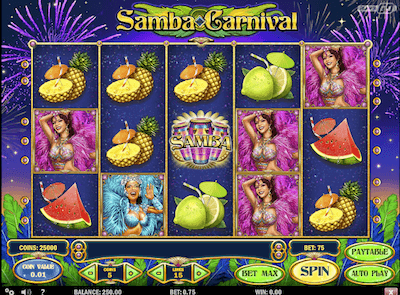 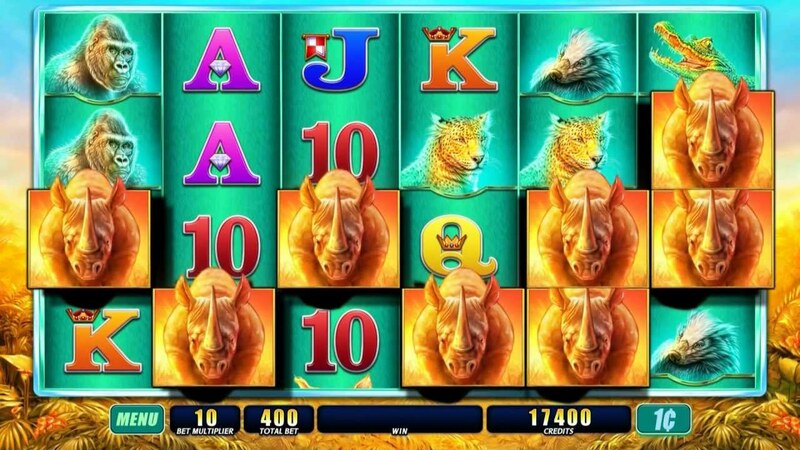 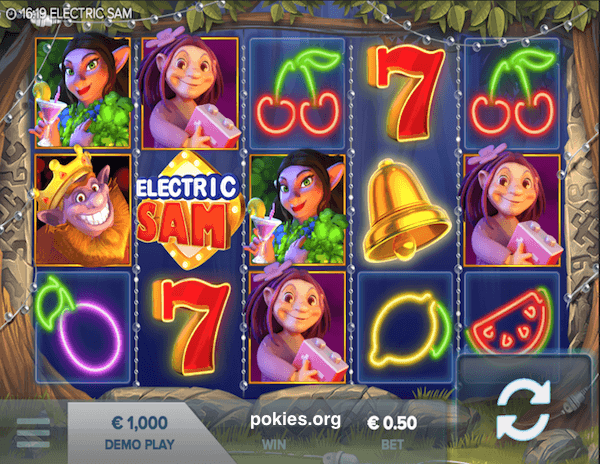 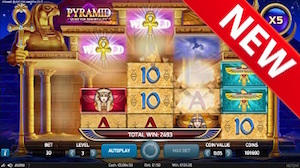 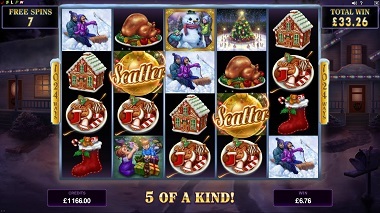 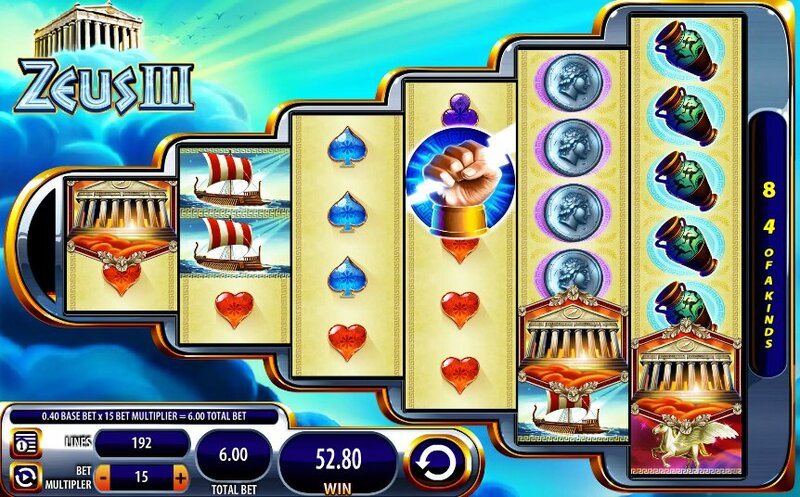 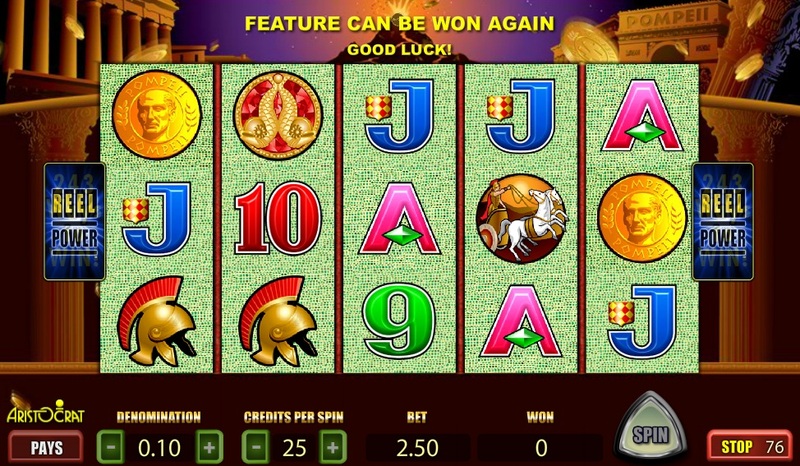 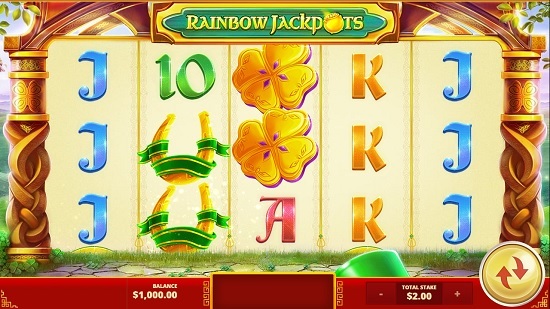 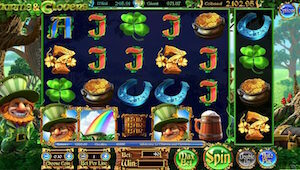 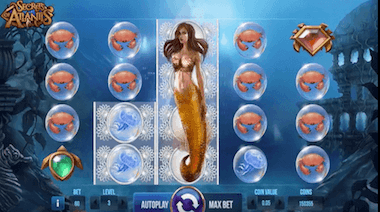 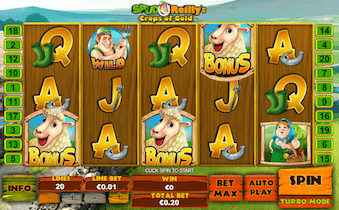 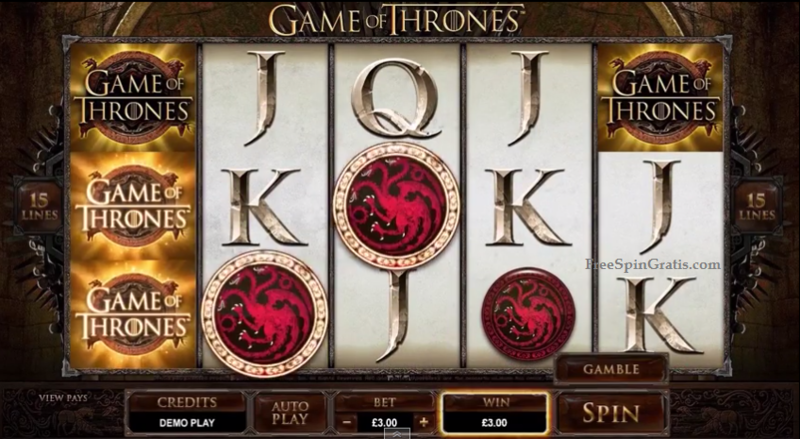 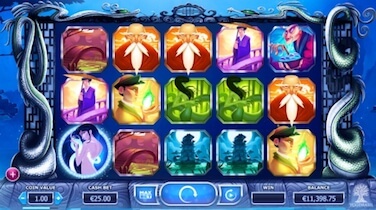 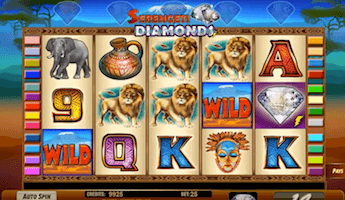 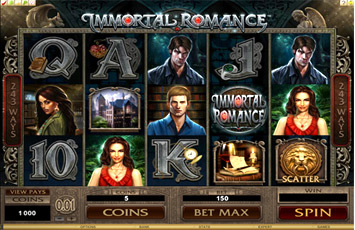 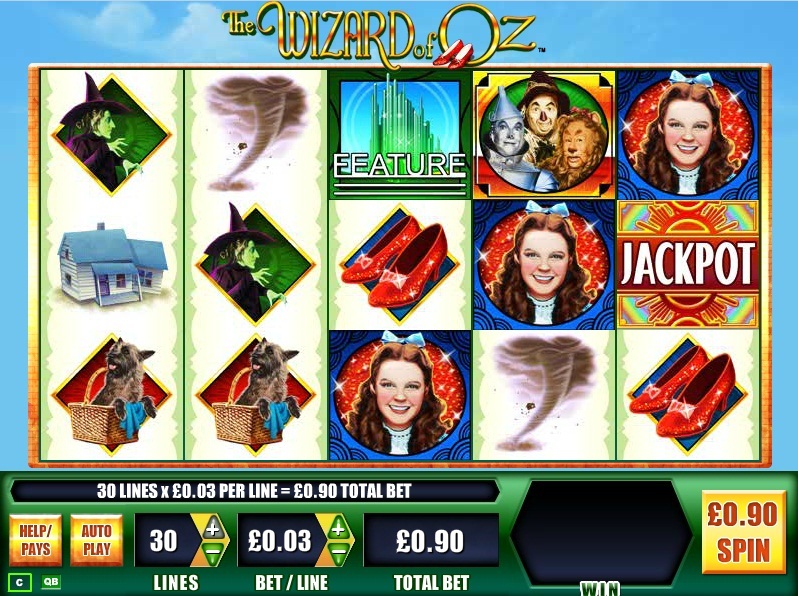 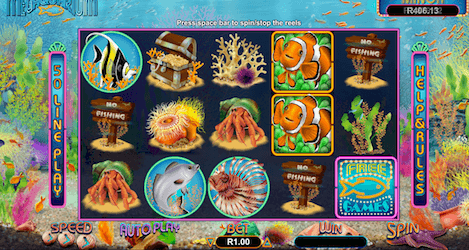 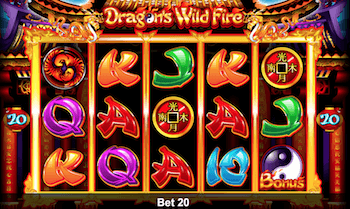 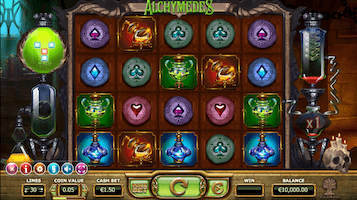 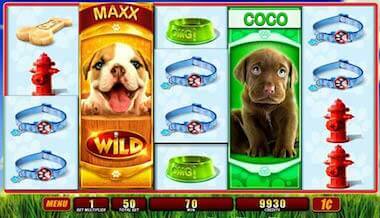 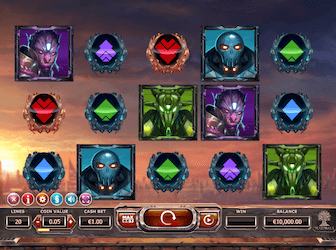 The framework of this game is exactly the same, including a free spins bonus feature with expanding wild symbols. 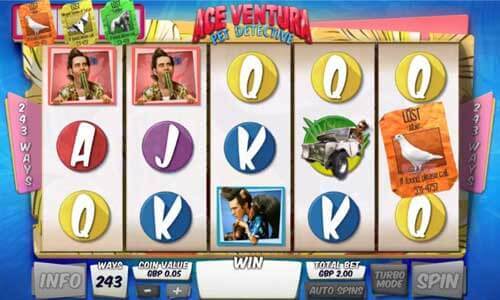 Claim up to 5,000 times your bet. 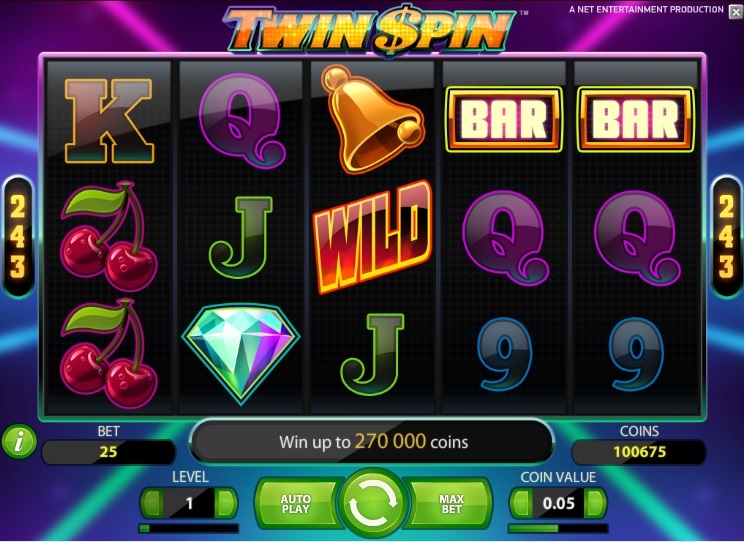 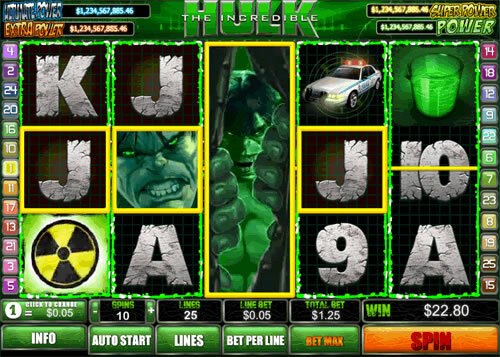 Latest pokie game from QuickSpin with multipliers, re-spin feature, sticky wilds and a very high RTP of 96.72%. 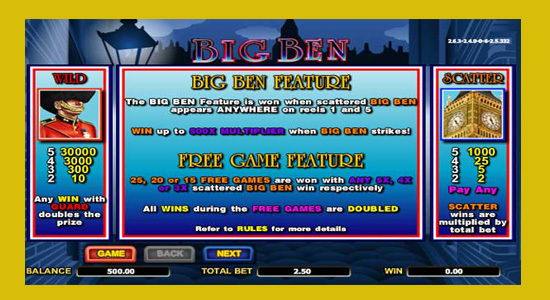 Maximum win is 344 times your bet and the game is considered to be low variance. 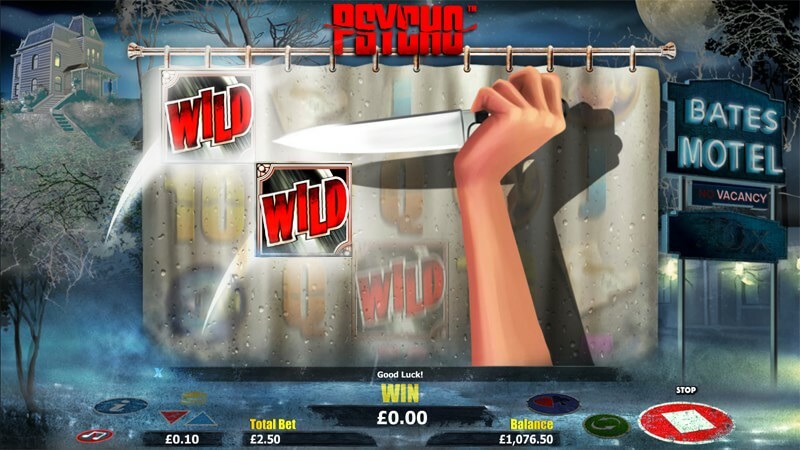 One of the latest releases from Play N' Go and it's packed with special features, free spins and multipliers of up to 2,500 times your bet. 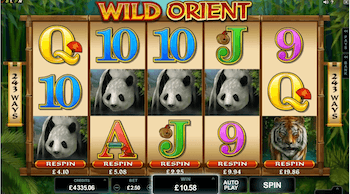 Decent RTP and a great medium volatility slot. 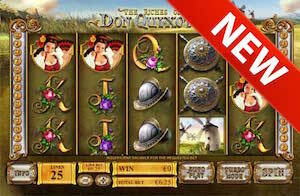 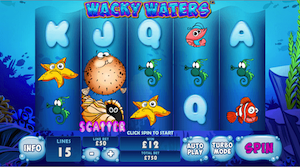 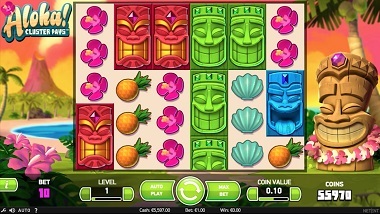 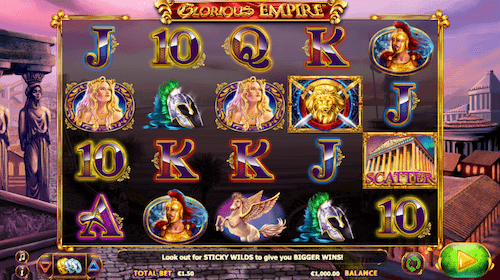 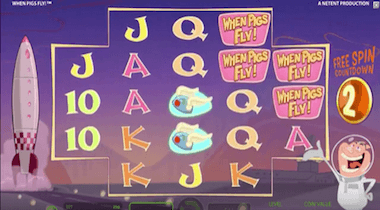 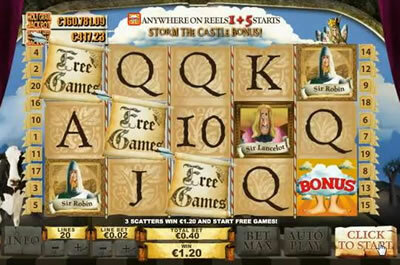 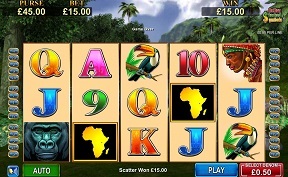 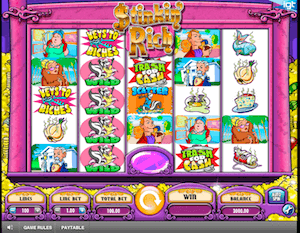 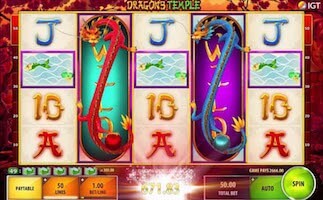 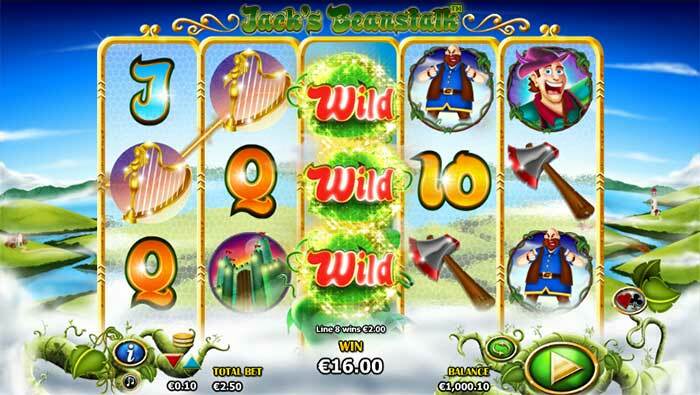 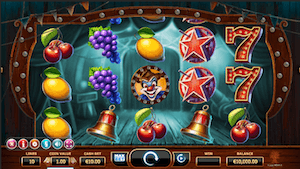 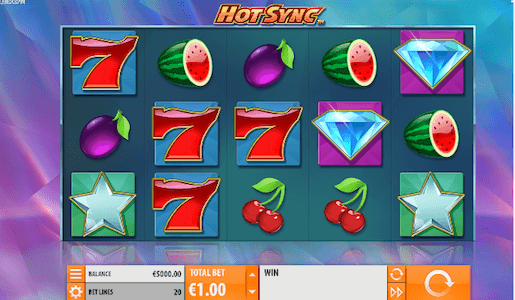 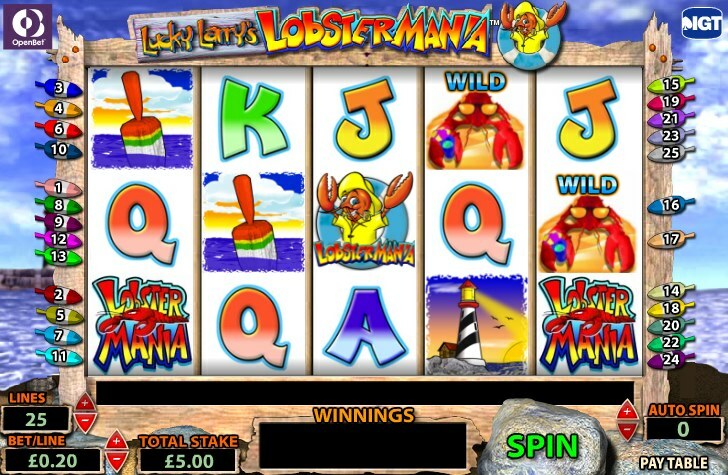 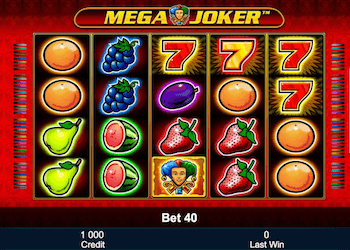 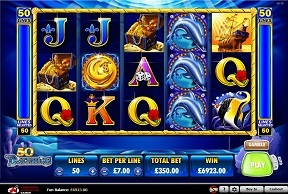 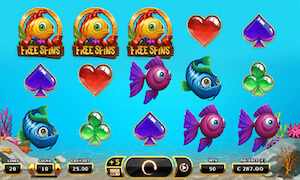 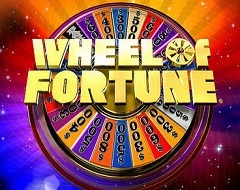 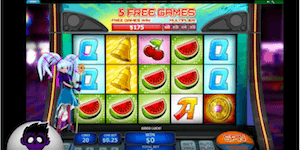 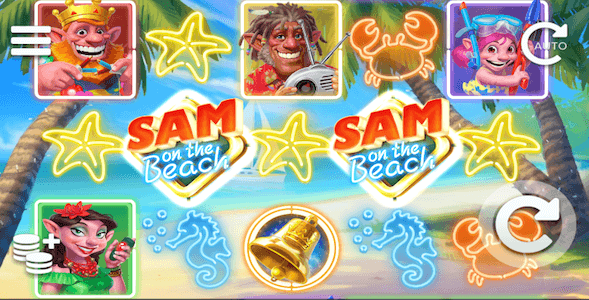 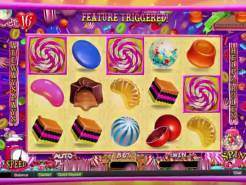 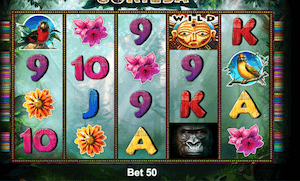 Some great potential for big wins due to the sticky wild symbols in free spins. 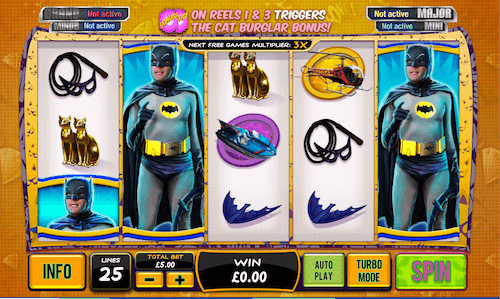 The hit rate of the bonus feature is rather low though. 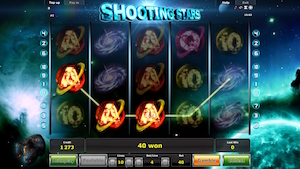 Simple pub style pokie from Novomatic with a nice twist - re-spin feature whenever the wild star symbol appears. 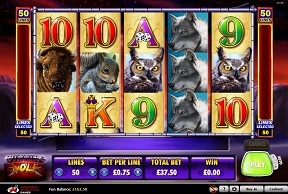 Nice top payout of 1,500 times the bet. 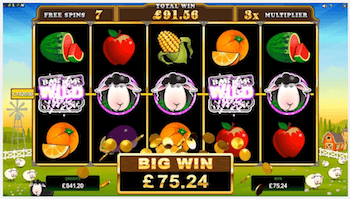 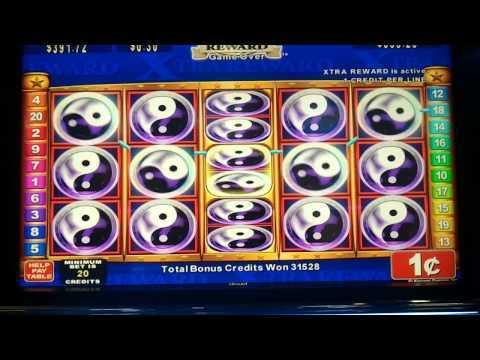 Decent looking pokie from MicroGaming with a great bonus feature whenever the symbol combination of BAR->BAR->Black Sheep appear. 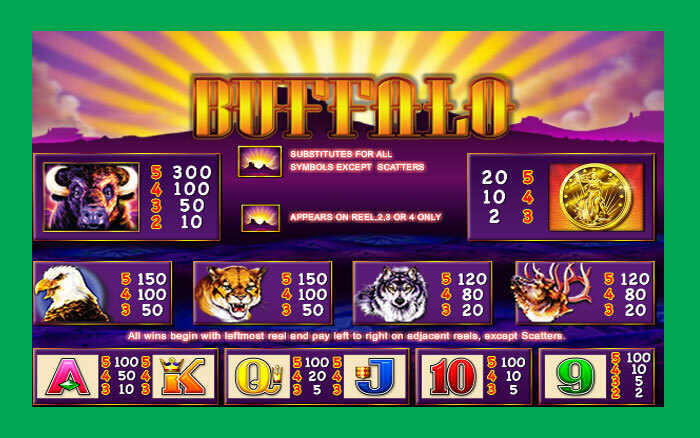 Win up to 999 times your bet. 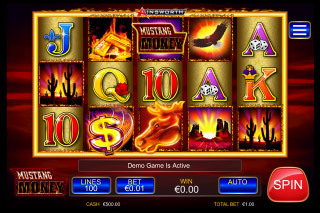 One of our favorite Novomatic online pokies. 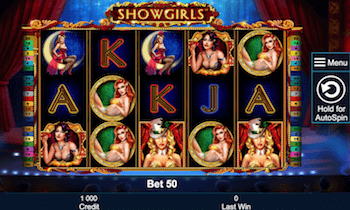 Turn all Showgirls into wild symbols during free spins for a top payout of 1,000 times your bet! 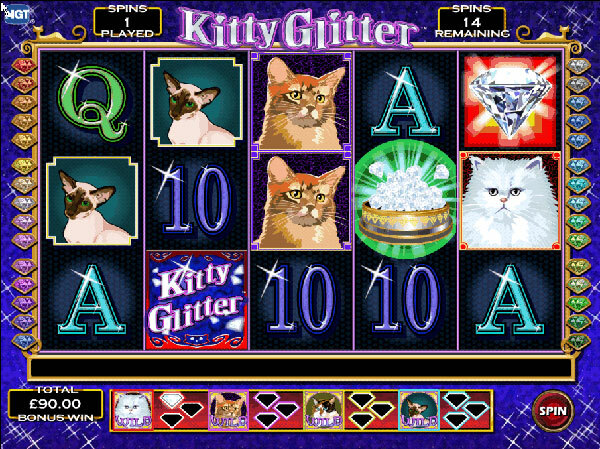 The bonus feature concept reminds us of Kitty Glitter from IGT. 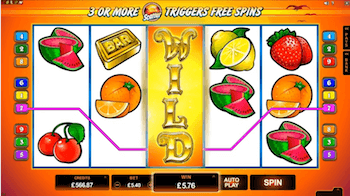 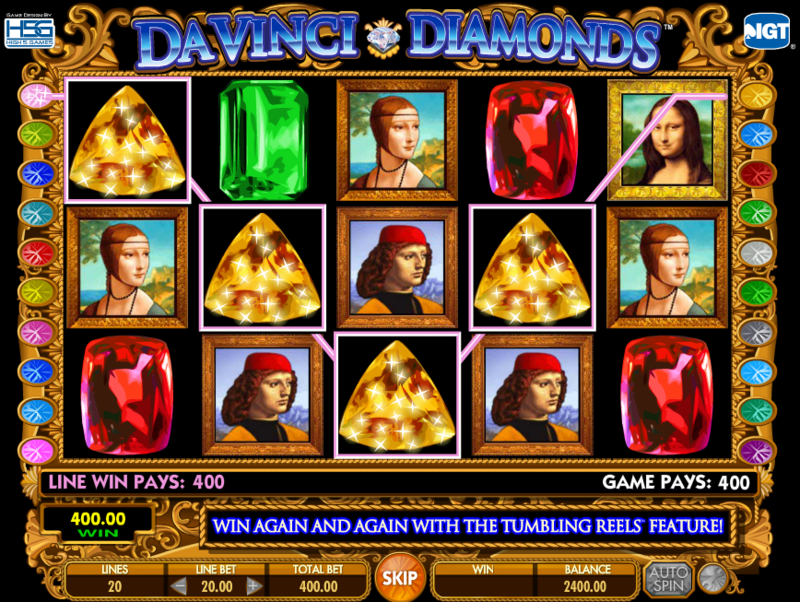 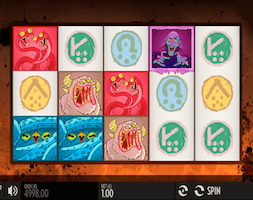 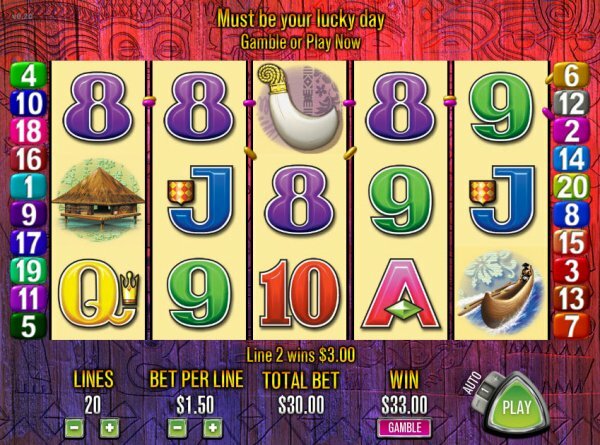 Very nice free spins feature with stacked symbols and wilds that appear more and more after showing up on the middle three reels. 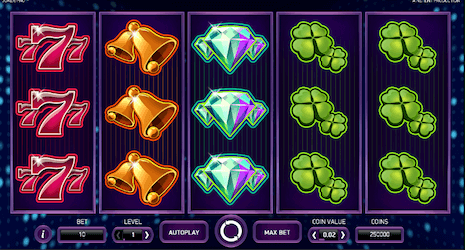 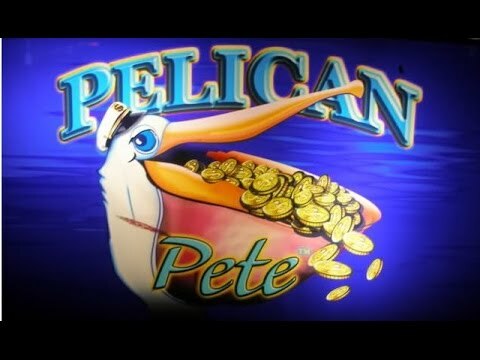 One of the lesser known pokie games from Novomatic, it still offers a nice payout potential of 1,000x times your wager. 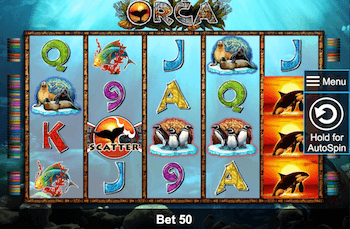 Get a full screen of Orcas during the free spins feature to achieve this. 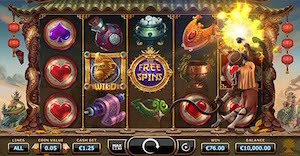 Exciting title from Novomatic with 10 pay-lines and a nice free spins bonus that allows you to win up to 750 times your bet in a single spin. 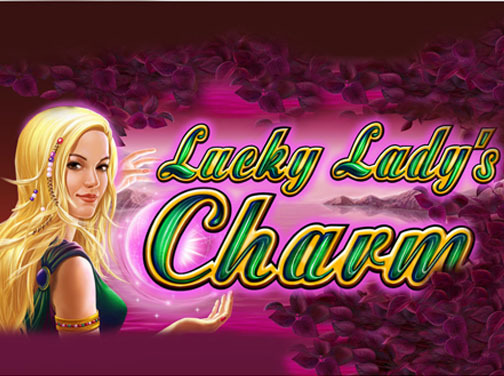 Simple online pokie with high win potential of up to 4,000 times your wager. 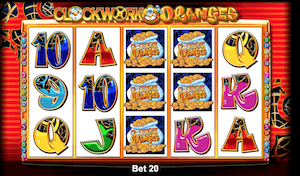 Rather unorthodox online pokie from Novomatic. 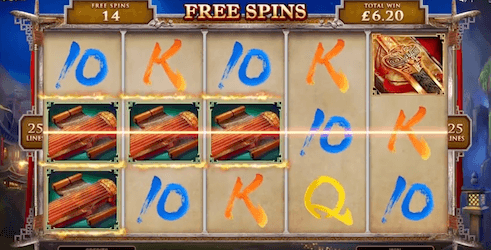 The key to big wins is triggering the free spins feature. 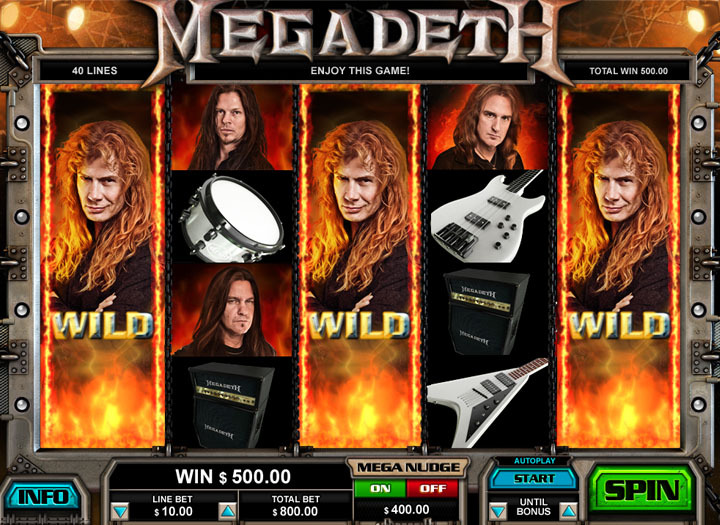 The game is quite variance free though. 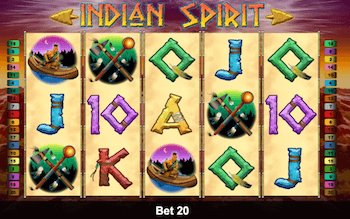 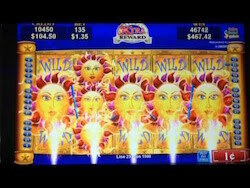 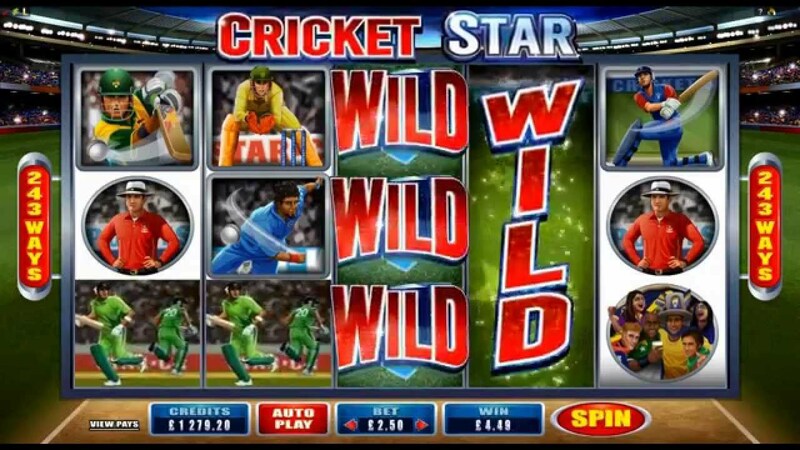 One of our favourite games - Indian Spirit pokie offers and awesome bonus feature where wilds and the highest paying symbol are stacked and can cover the whole screen. 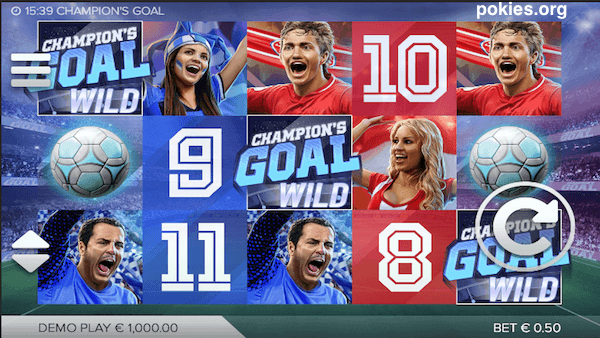 Manage to do that and you'll receive a payout worth 10,000 times your original stake. 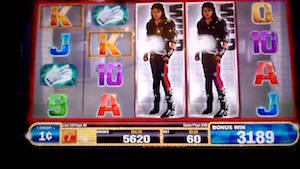 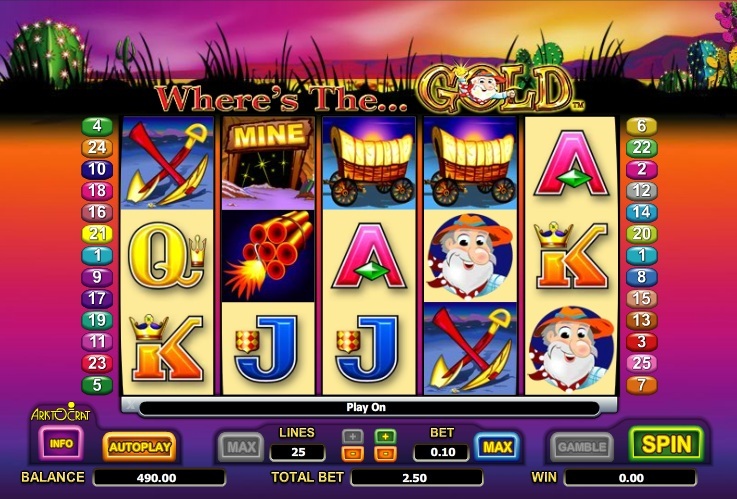 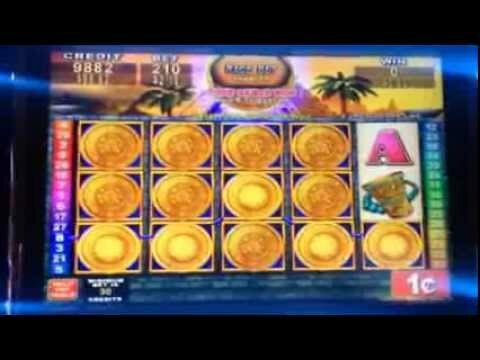 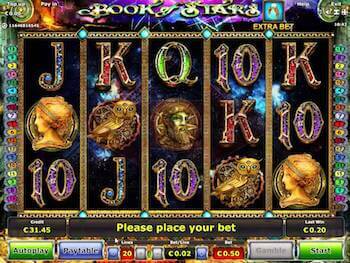 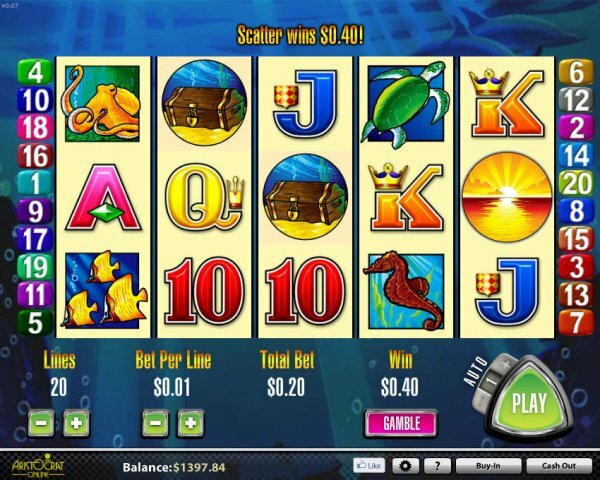 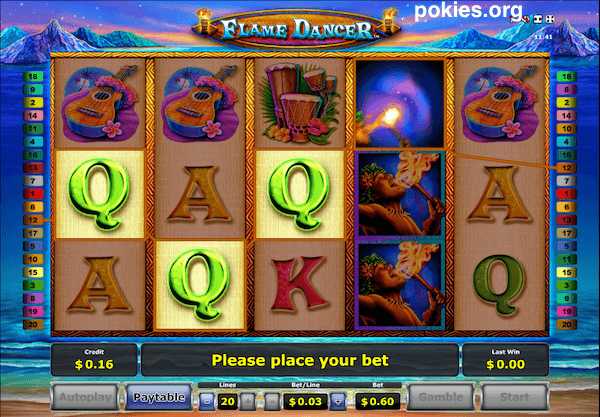 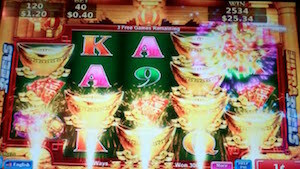 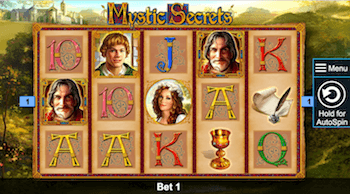 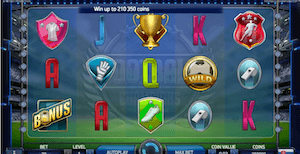 Basic online pokie from WMS with 100 pay-lines and 10 playing reels. 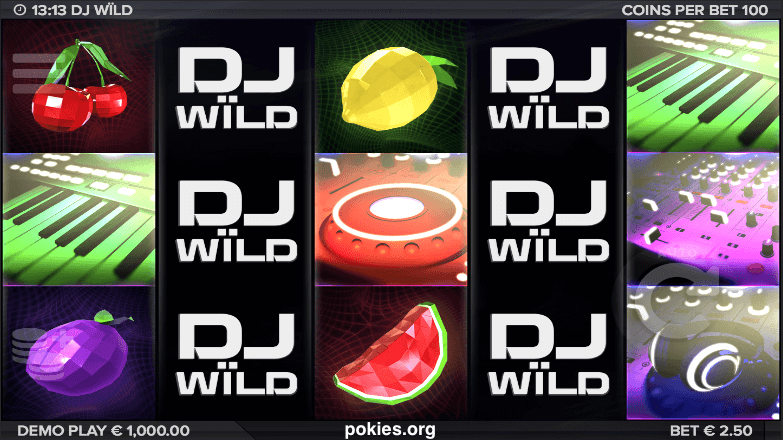 Just another re-skin of the Book Of Ra online pokie with an expanding wild symbol during the free spins feature and payout potential of up to 5,000 times your wager. 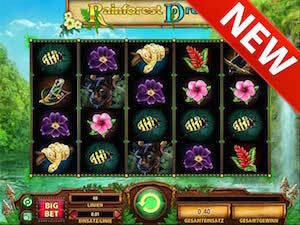 Awesome game for all the nature lovers with a crazy payout potential of up to 10,000 times your wager. 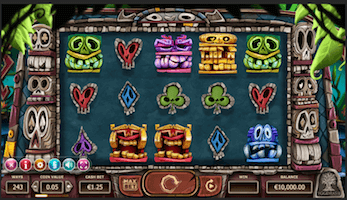 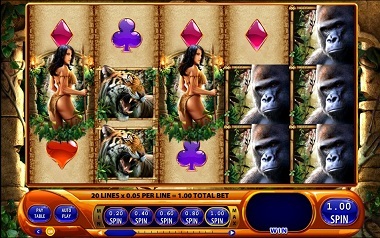 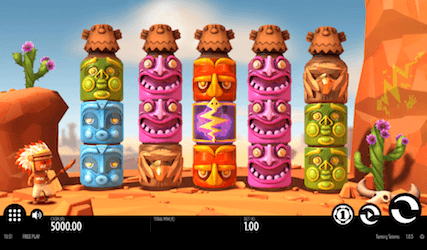 During free spins gorillas as well as wild symbols are stacked, just like in the Indian Spirit pokie from Novomatic. 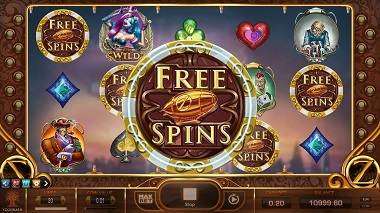 The big wins come from the free spins feature, triggered by 3 or more book symbols, where a special symbol is selected and works as an expanding wild during the duration of free spins. 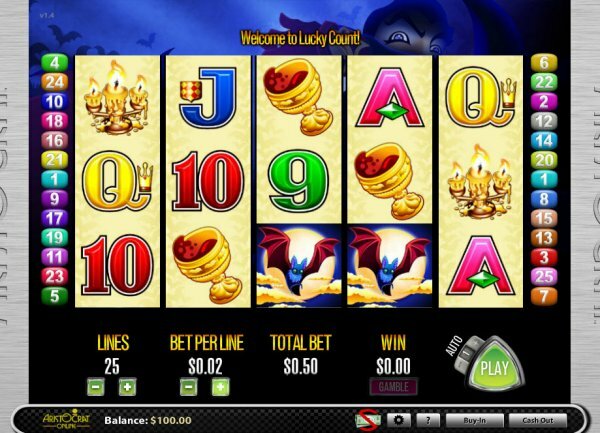 Pokies.org was created to add value to all players of pokie machines. 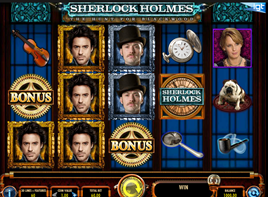 We review the latest game releases, list trusted casinos and offer exclusive bonus offers. 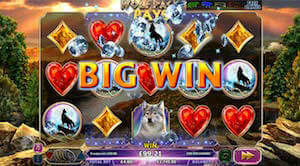 We do not accept any monetary wagers and act as a to-go source for the latest information in this niche. 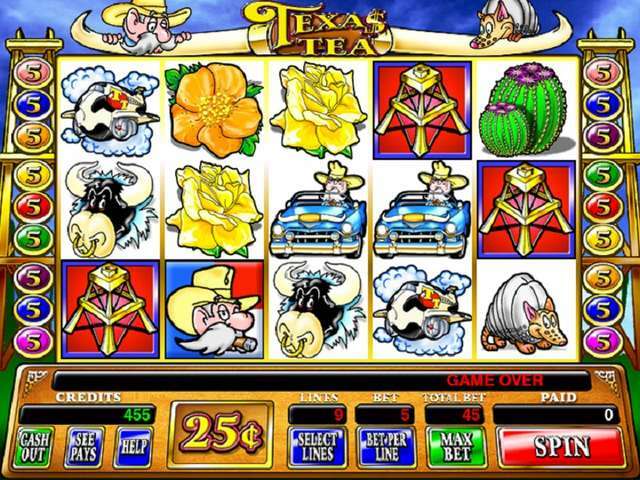 Please gamble responsibly and make sure it’s legal in Your jurisdiction before doing so.